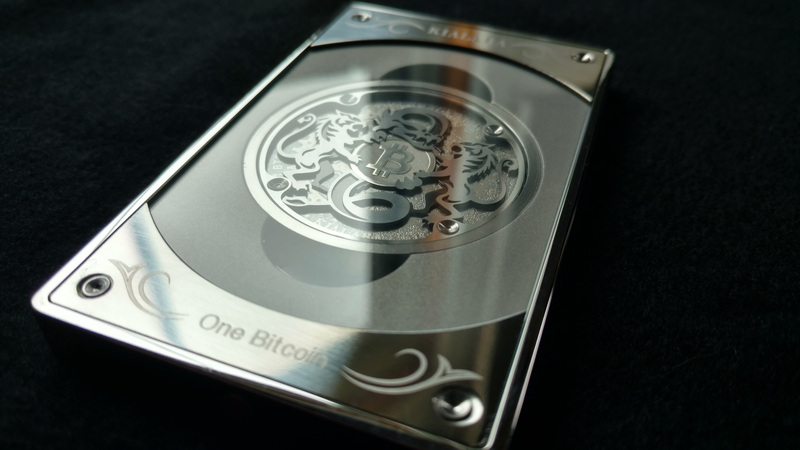 The people behind Silver Wallets haven’t been idle, and are now on their third major design. 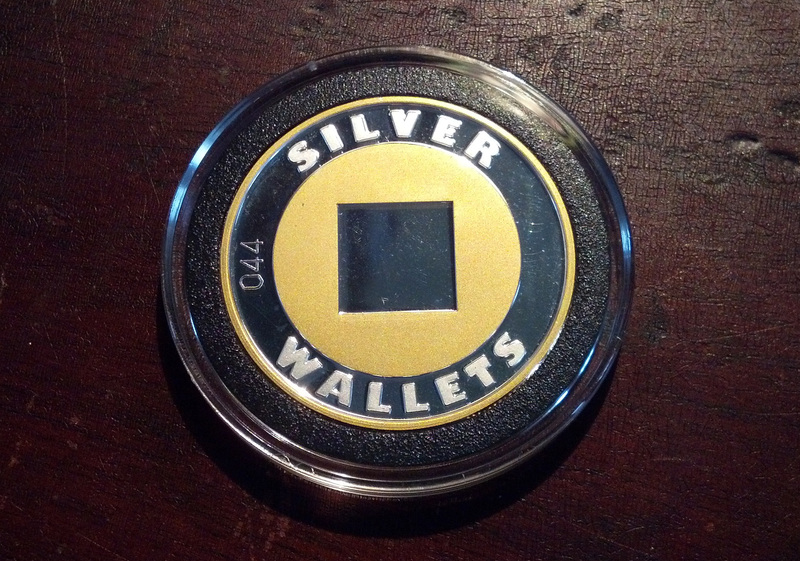 Their original Silver Wallets design was a very polished, high-quality inaugural offering, but the new one is even more impressive. 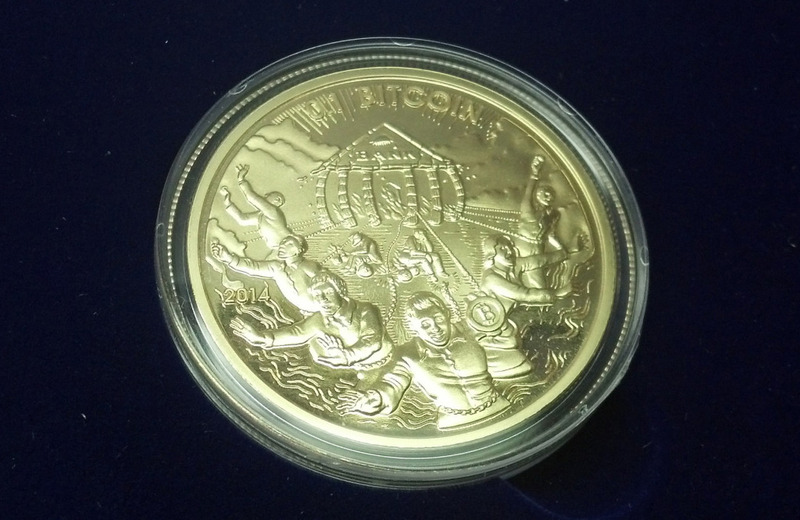 With a beautiful proof finish, this is a lovely ounce of silver to start with, but on top of that they’ve added gold plating on the “B” and around the rim. The result is striking. 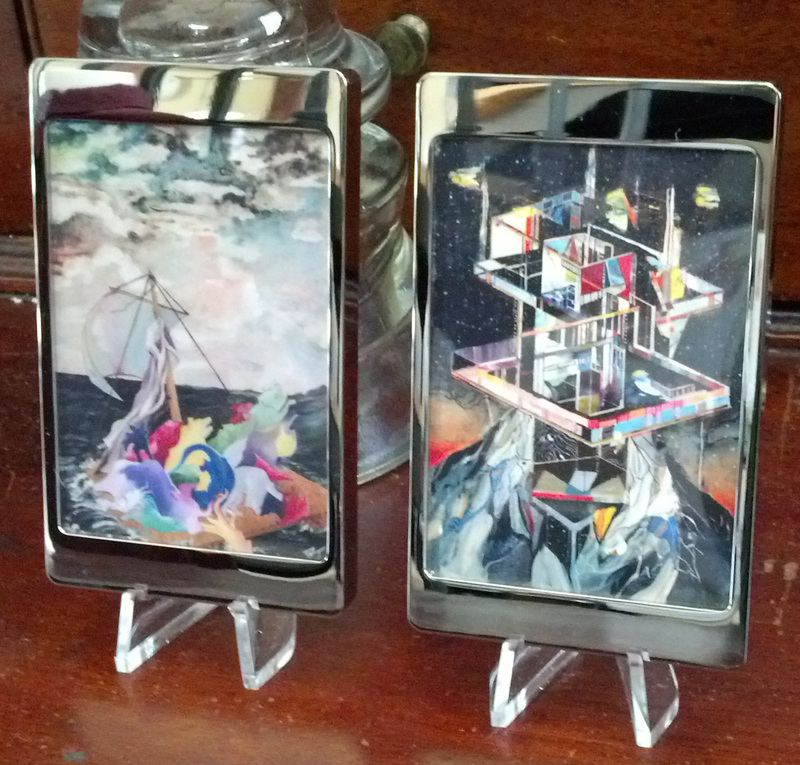 Silver Wallets design 3, front. Silver Wallets design 3, back. 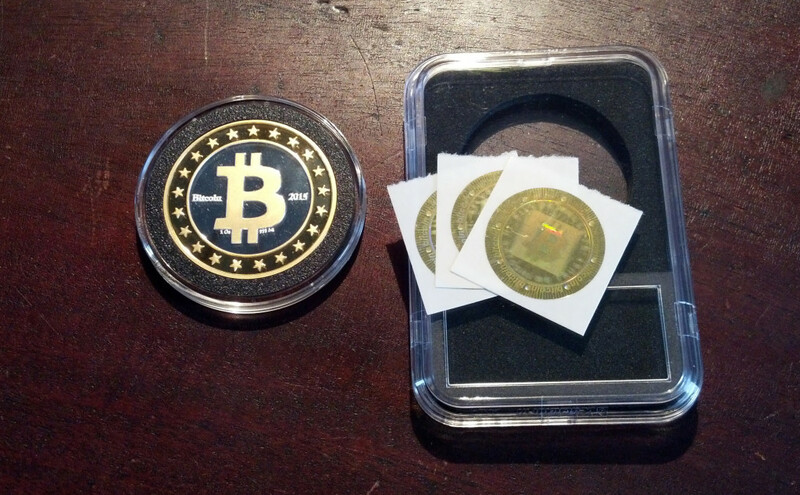 As with the previous designs, this is a kit for making your own physical bitcoin collectible. 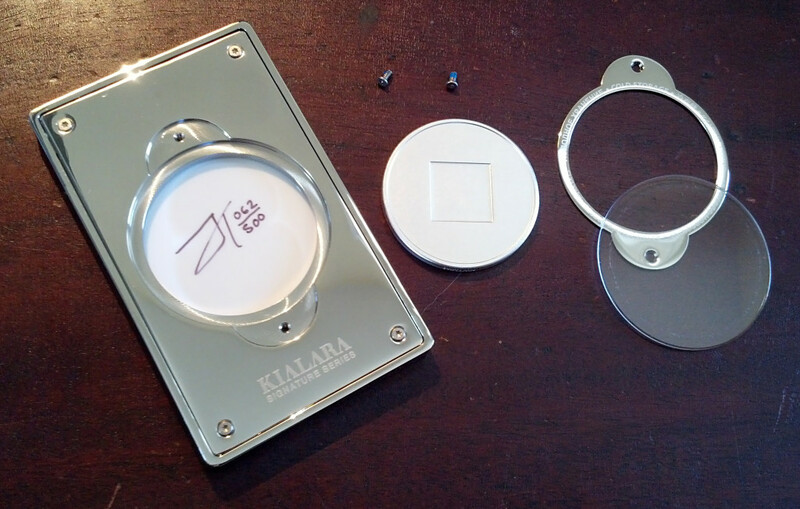 The shallow half-inch square recess on the back allows you space to place your own private key, and the coin comes with 3 holograms for sealing it in place — either backups if you make a mistake, or replacements in case you choose to redeem the coin at some point and then re-assemble it. No one has control over the key but you, so it’s as secure as the precautions you take. It comes with 3 holograms and an optional slab-style case. 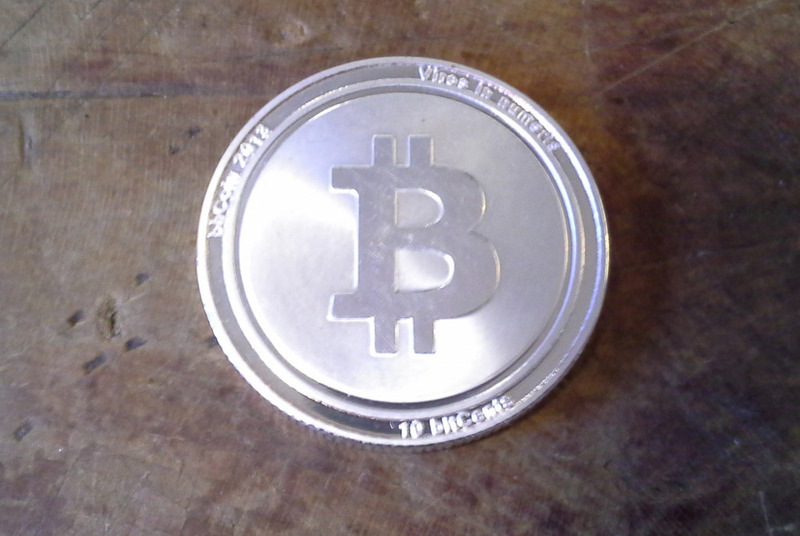 The coin comes in its own round plastic case, but an optional slab-style case is also provided, which would be handy for displaying the public address along with the coin. 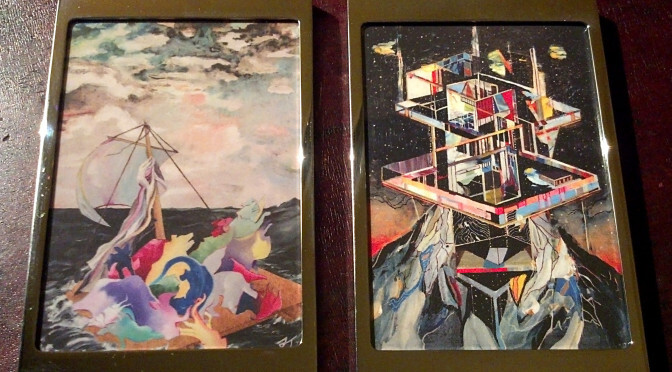 These are beautiful pieces, and we look forward to seeing more in the series. 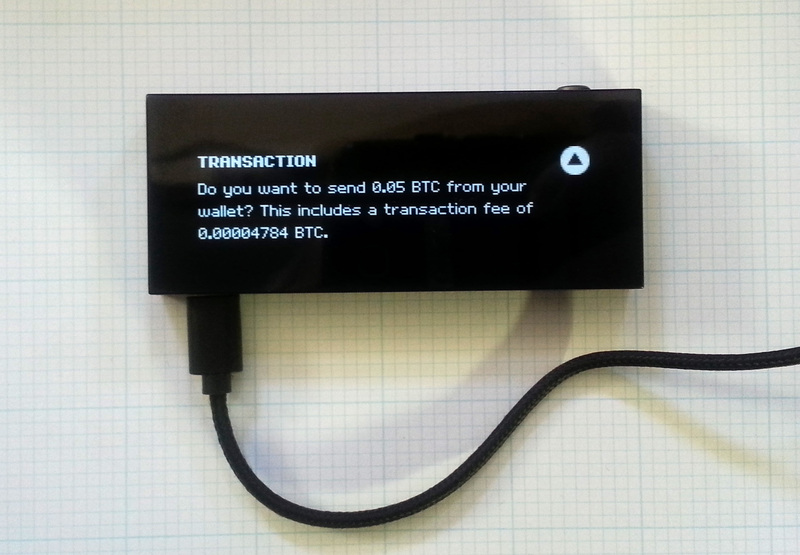 The Ledger HW.1 is a Bitcoin wallet that tackles the problem of a hardware wallet from a smartcard persective, with no moving parts and no screen. That makes it tiny, simple, light — and inexpensive. 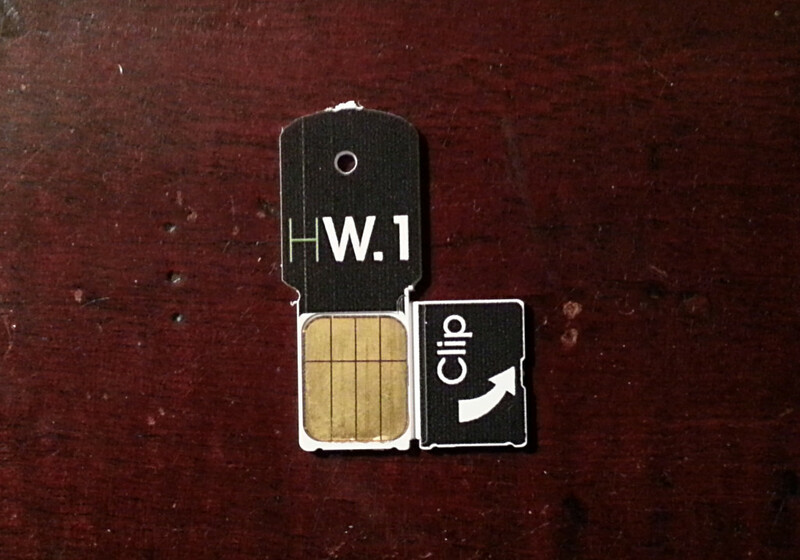 The chip which holds your private key is embedded right in the plastic, and the tiny USB device itself arrives embedded in a credit-card-sized piece of plastic. 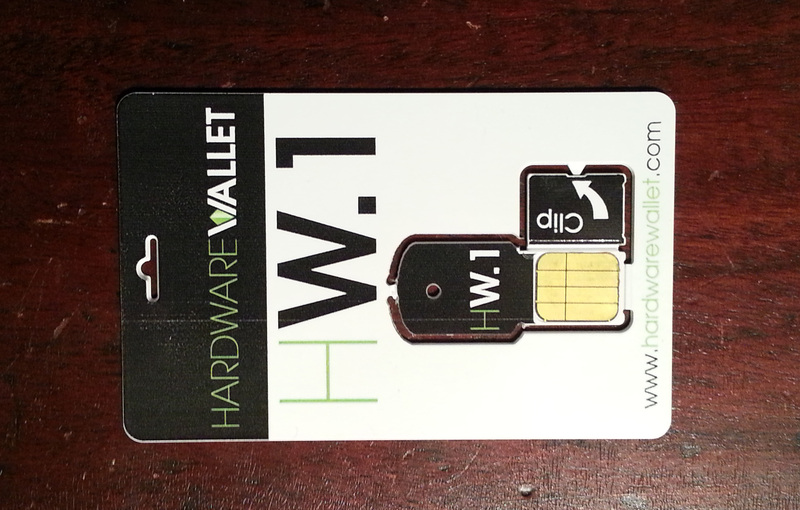 Pop it out of the card, bend back the flap and snap it in place and your Ledger HW.1 is ready for setup. 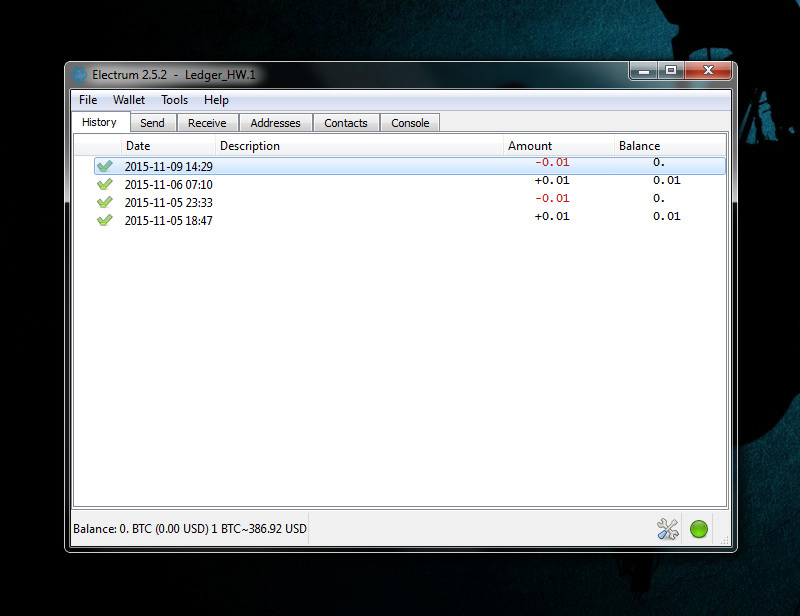 Setup is as simple as pointing Chrome (or Chromium) to my.ledgerwallet.com and following the instructions. You’ll receive your 24-word master seed to write down in the provided booklet, with which you can reconstitute your wallet later should your HW.1 ever become lost or damaged. Ledger HW.1, still in card form. “Clip” means “bend around to back and clip into place, ” NOT “clip off.” Don’t make my mistake! 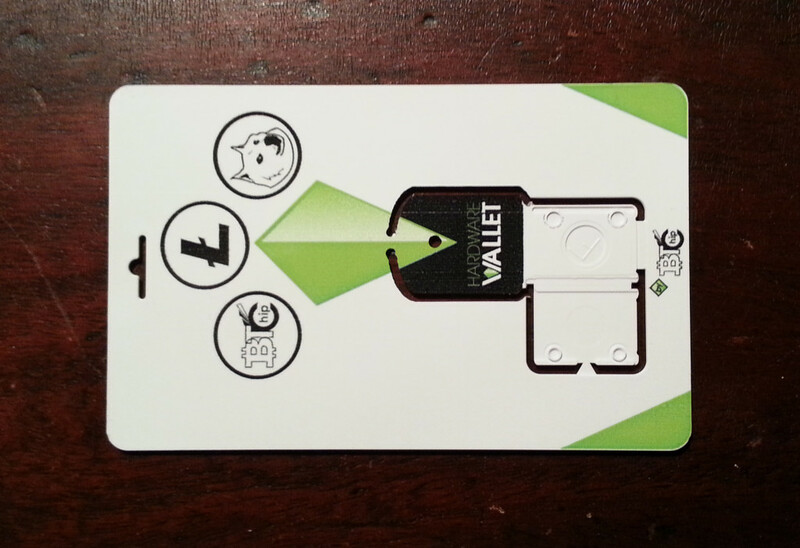 Once you’re set up, my.ledgerwallet.com can then be your wallet, too. Just plug in your Ledger HW.1 and open the website and you’ll be met with a nicely laid out, easy to use and relatively full-featured Bitcoin wallet interface. 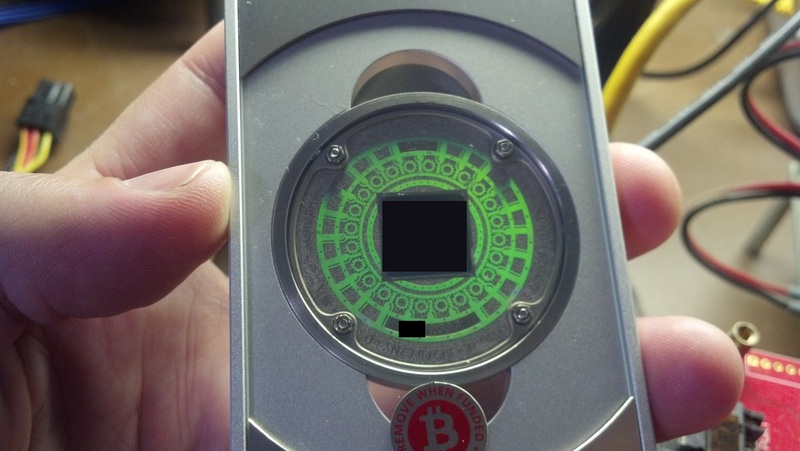 But how can you confirm transactions securely if the Ledger has no buttons at all? If all your keystrokes and actions pass through the computer first, then is this really a secure hardware wallet? The Ledger solution is as simple as their overall design. Each Ledger is shipped with a unique security card with a key printed on one side: a full set of upper and lowercase letters, plus the numbers 0-9, all randomly matched with their ciphertext equivalents. It’s essentially a one time pad, a cryptographic solution that’s as old-school and reliable as they come. In order to confirm a transaction, you’ll need both the Ledger HW.1 to be plugged in as well as having your security card handy to translate whatever the onscreen prompts provide you with. 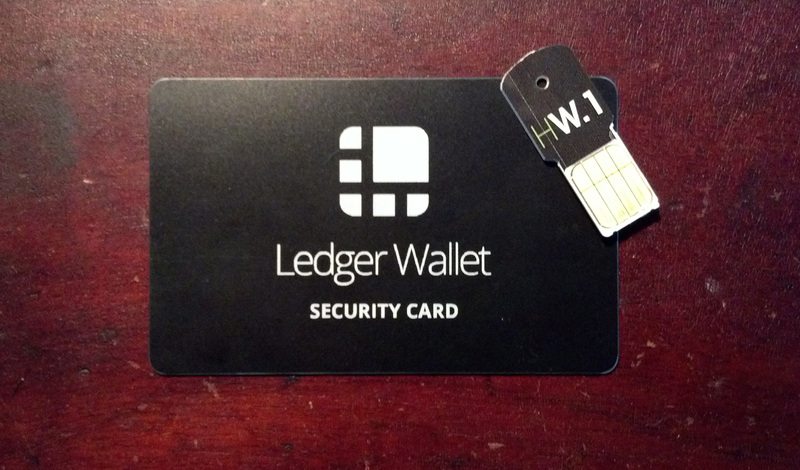 The Ledger Wallet Security Card: so simple, so key. No, you may not see my key! Or you can use the security card to pair your HW.1 with your Android smartphone using the Ledger app, and use that as a two-factor authenticator instead. If the web wallet isn’t to your liking, the HW.1 also works well with Electrum. 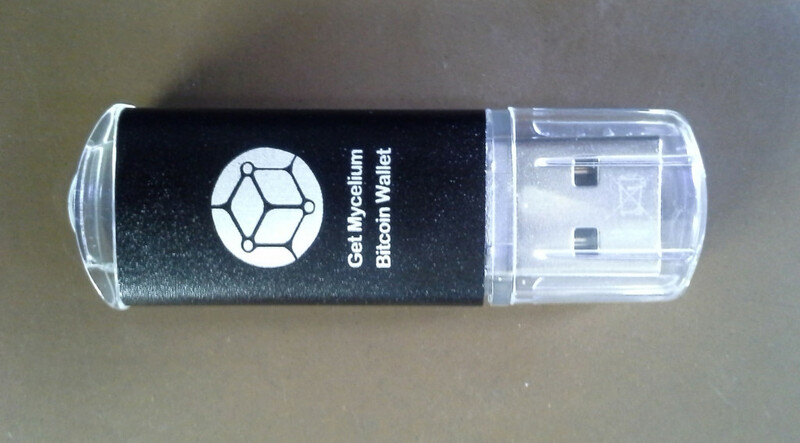 It also works with Mycelium on Android, if your phone supports USB On-The-Go. The Ledger HW.1 also works with Electrum. The Ledger HW.1 even works with Mycelium, in case you’re on the go. There are several players in the Bitcoin hardware wallet field these days, but Ledger distinguishes themselves in two ways: variety and price. 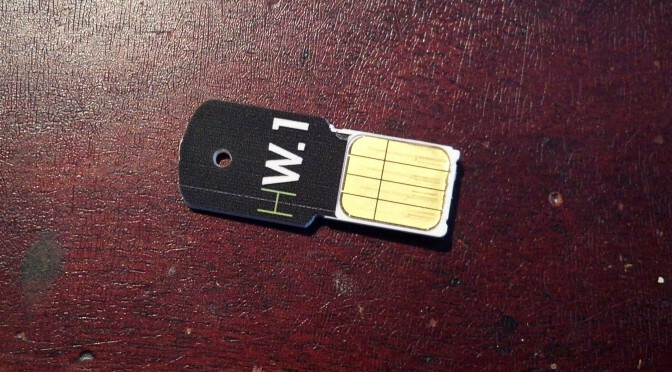 The HW.1 is a tiny, featherweight device and it is the least expensive iteration, but it is just one of several configurations offered by Ledger. 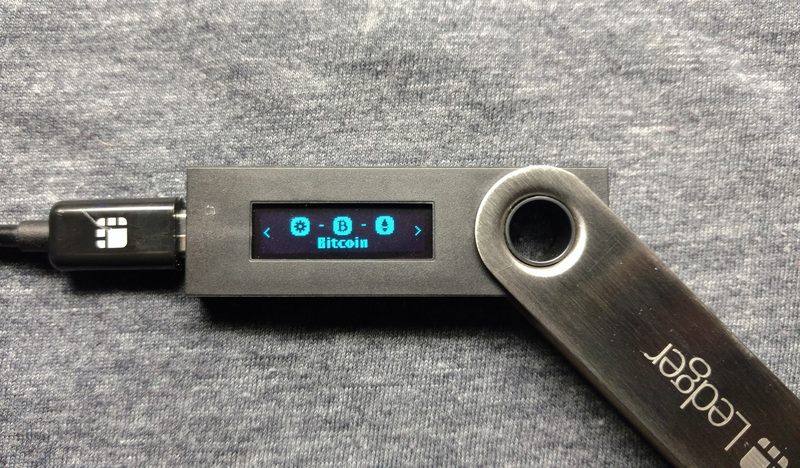 The Ledger Nano is a more traditional USB stick with a folding metal sheath, and even comes in a version in which the Nano is embedded in a wearable rubber wristband. The Ledger Unplugged is a whole different creature, being a contactless wallet meant to work with mobile wallets such as Mycelium. We haven’t had a chance to test either of these yet, and we’re pretty sure there are even more designs in the works. At 15 Euros (less than $20), the price of the HW.1 is hard to beat. That’s a small fraction of the cost of the competitors. Sure, it’s not as impressive to hold in your hand as something with a screen, but that’s not what you’re buying here. 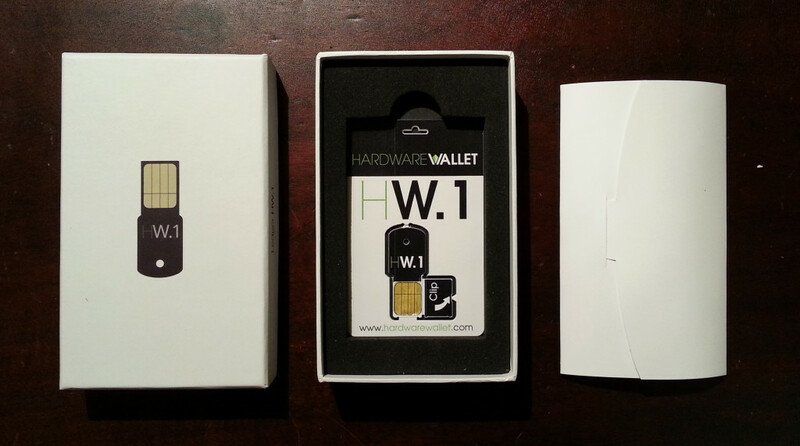 The HW.1 is simultaneously a fantastic entry-level hardware wallet because of the low price, and a great solution for companies who might want to deploy large numbers of them to their employees while keeping costs manageable. The original Kialara bitcoin cold wallet was an elegant chimaera, a coin-like construct enclosing a private key, itself encased in a bar, made of plastic, glass, aluminum and steel. Lions, dragons and gears cavorted on its face, and seemed like the sort of compact sculptural object that might be dreamed up by a sentient machine. The tiny machine theme evolves in the second offering from Max Mellenbruch, the Kialara Labyrinth. 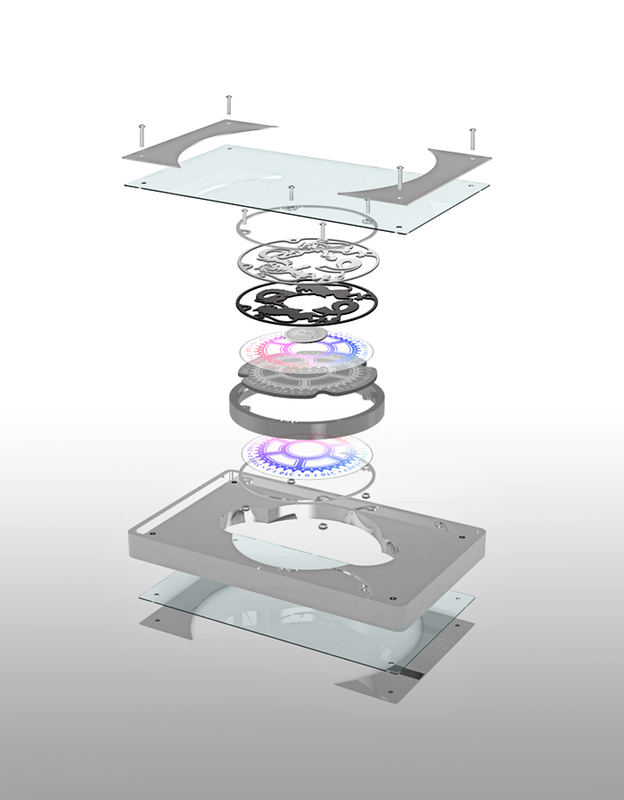 It doesn’t just look as if the parts might move, they actually do, since the Labyrinth really is a labyrinth, the circular paths carved right into the surface of the coin and five tiny spheres tumble through the rings — silver spheres on the first 700 coins, and ceramic spheres on the remainder of the 2500-coin run. A fiendish labyrinth protects your bitcoin. It’s just as beautiful and well-constructed as the original, with the added bonus of having a game built in. A very difficult game. The goal is to get the 5 tiny spheres from the outermost ring to the innermost. The first time I tried it, I promptly concluded that this was impossible and abandoned all hope. Then Mellenbruch announced a contest for the best time solving the puzzle and I thought, heck, I’ll give it another shot. My best times seemed to be approaching infinity. The first time I solved it took more than 10 minutes, an agonizing, maddening eternity in which the tiny balls danced and flew in all directions like quicksilver in an earthquake. I couldn’t figure out any strategy of any use and despair set in again. Eventually, though, you start to learn. Gentle, swishing loops, working with the labyrinth’s circles instead of fighting them, letting the spheres drop gently down to the next level instead of trying to force them along with my mind. I shudder to think how long I spent in that labyrinth before I got a time under three minutes, then two, and finally managed a run completed at just 1:16. That felt good. I tried to beat that, but never came close again. Fortunately, that time was good enough to win the contest. Yup! Here’s my video to prove it; apologies for the blurriness, but I was single-mindedly focused on the puzzle at the time. 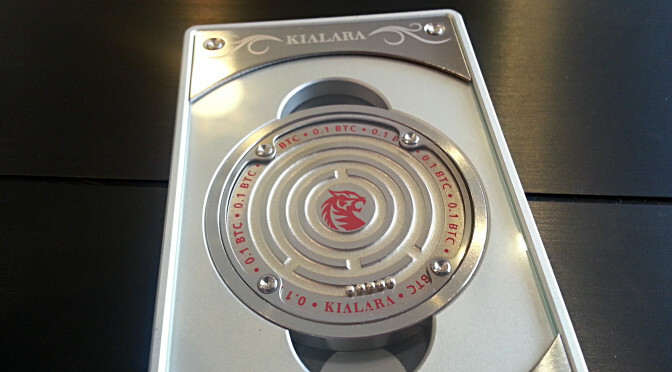 My prize was the low-numbered Labyrinth #003, plus an original Kialara as well, which is a pretty great prize package. 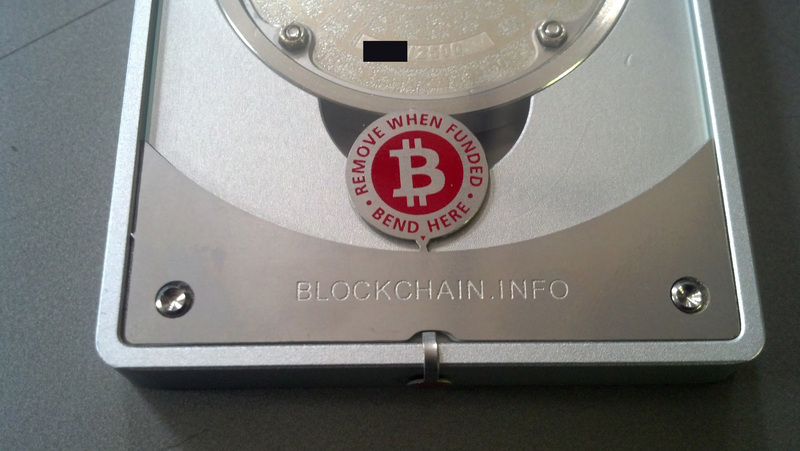 Both of Mellenbruch’s designs are lovely works of collectible Bitcoin art, but they’re also as close to tamper-proof as a physical wallet can be without encryption, due to the elaborate and meticulous construction which includes details like countersunk screws glued in with red goop. It’s even harder to imagine counterfeits, since the sheer amount of work necessary to recreate one of these would be formidable. 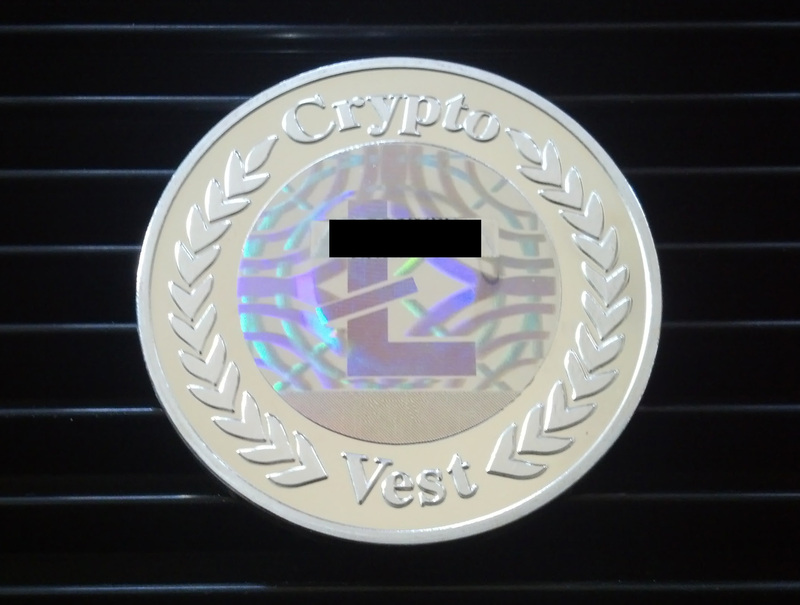 They make for very elegant vaults, and the face denomination of .1 BTC doesn’t prevent you from saving more at that address. Still, I’d love to see an undenominated variation that the user could fund however they wanted. But wherever Mellenbruch’s artistic instincts take him next, I wouldn’t be surprised if it exceeds our expectations yet again. Three green flashes means there isn’t enough entropy detected. Do you have a device which can tell you that? 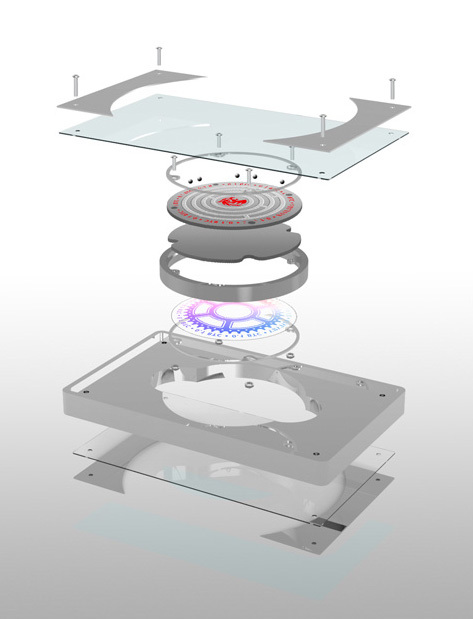 The Mycelium Entropy device can. 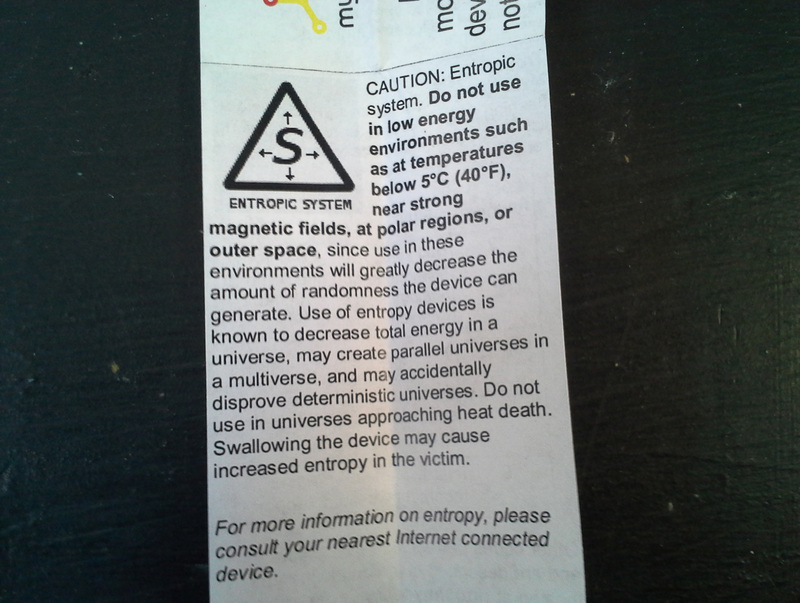 But no worries, if there isn’t enough entropy, just unplug it for a few seconds and try again. Or move away from strong magnetic fields. This is my new favorite error message on anything anywhere. The name is hard to beat, too. When you think about how much trouble the Genesis device was in “Wrath of Khan”, then how much more devastating must the Entropy device be? 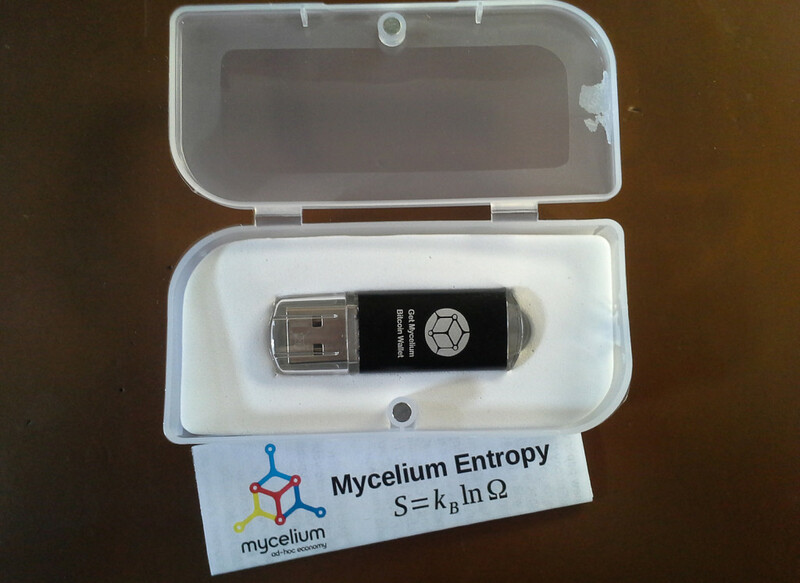 The Mycelium Entropy with case & instructions. 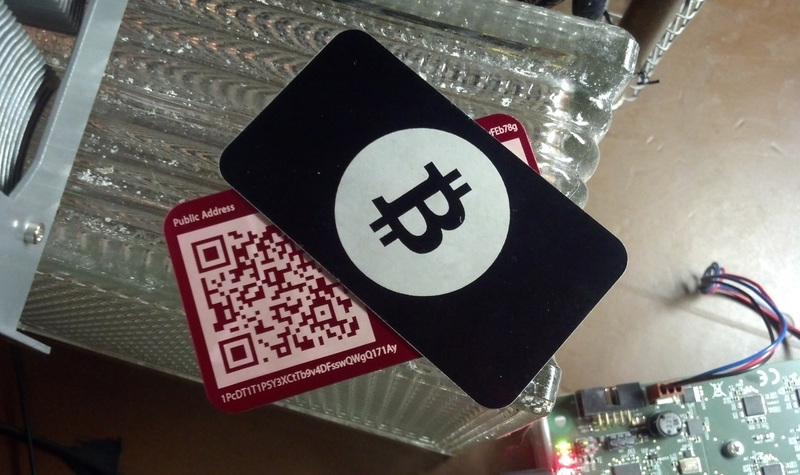 The Mycelium Entropy is a tiny bitcoin paper wallet generator meant to be as simple, secure, and portable as possible. 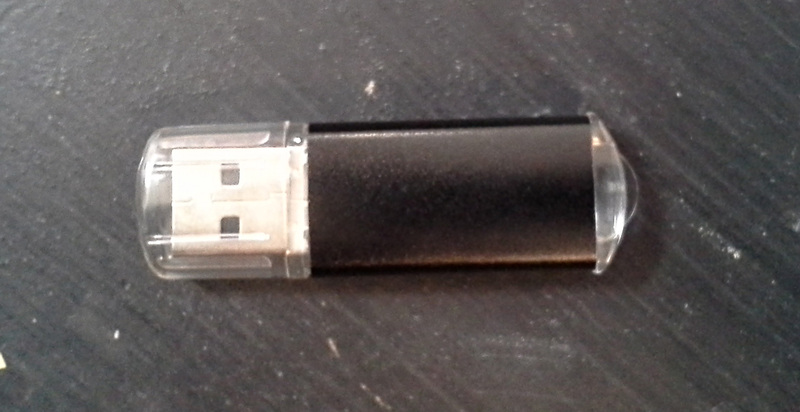 The size of a small thumb drive, it may be plugged directly into a USB-equipped printer in order to generate random, one-time paper wallets whose information isn’t saved anywhere other than the piece of paper which is printed out: the keys are not saved on the device, they’re not saved on the printer, and as long as the printer isn’t connected to a computer or the Internet, then they can’t be saved there, either. It’s also dead easy to use. 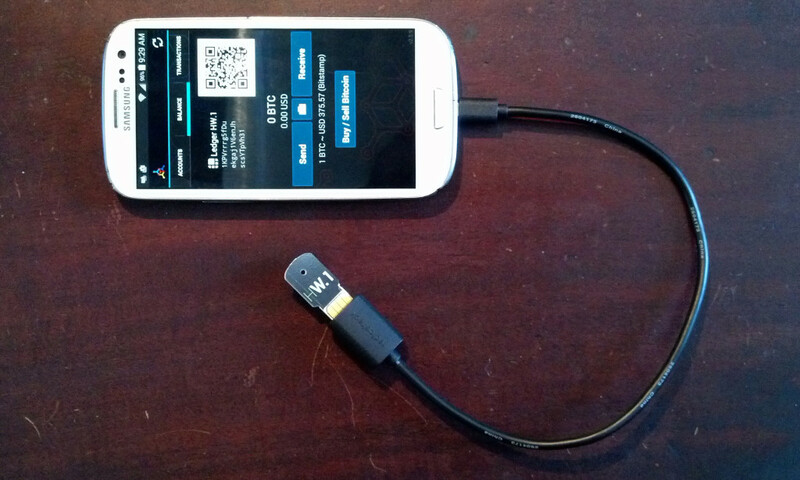 There is no software interface or driver download, just plug it into the printer and then print the wallet. 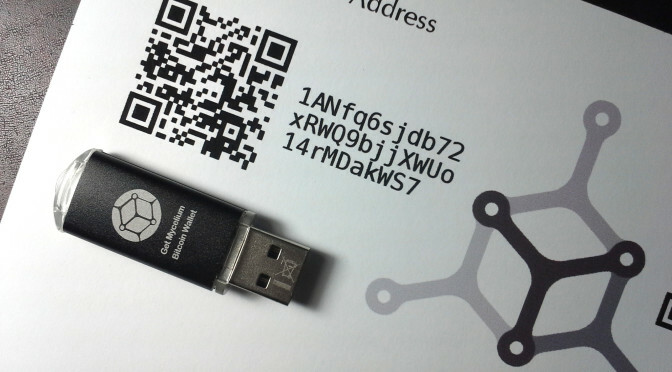 This is possible because when you plug in the Entropy, it generates the new wallet in the form of a jpg, which is what the printer sees — a flash drive with a picture on it, which just happens to be a public address/private key pair. This also means that you can print it from a USB port on a computer, too — just open the drive and print the jpg — but of course this is a bad idea since you’re negating some of the security precautions by doing so, and exposing your device to whatever nastiness is on your computer. The green light of Entropy. 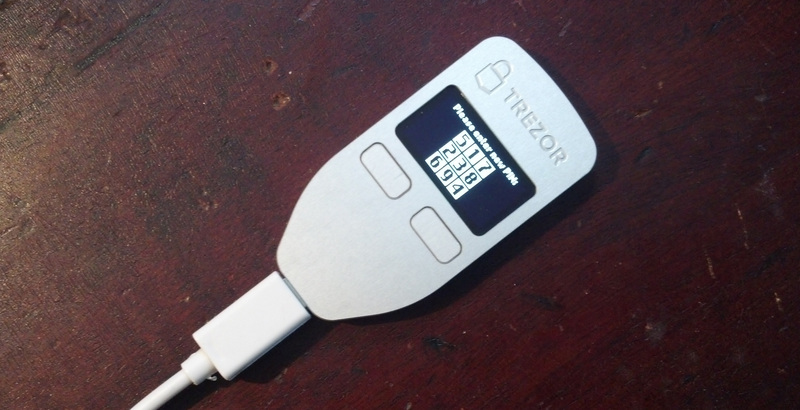 If you want another wallet, either unplug the Entropy device and then re-insert it, or just press the button on the end, the only control on the device. Presto, new key pair! You can also print of a 2-of-3 split key wallet simply by pressing the button immediately after inserting the device into the printer. If you want to get complicated and enter the configuration mode, a host of other possibilities open up. Hierarchic deterministic wallets? Yup, it will generate a BIP-39 12-word seed phrase instead. Other cryptocurrencies, such as litecoin? Sure! 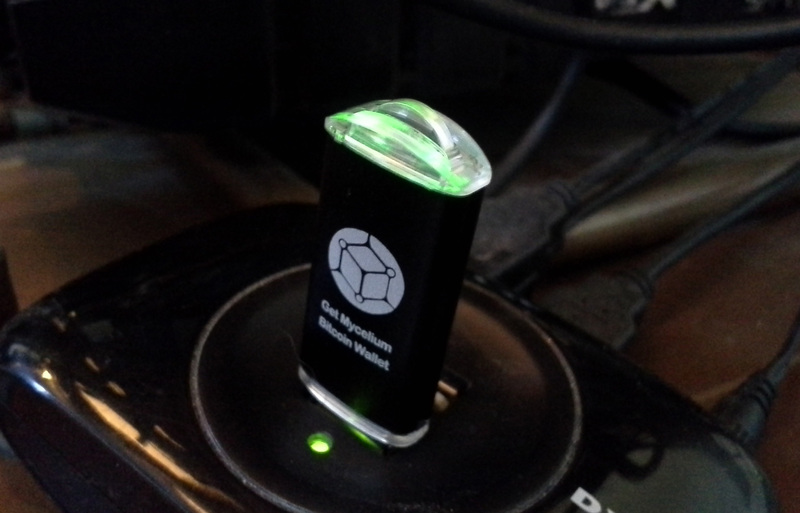 It’s a solid little device, as well, with a metal shell and good build quality. It’s great when first-of-their kind devices are also built to last. 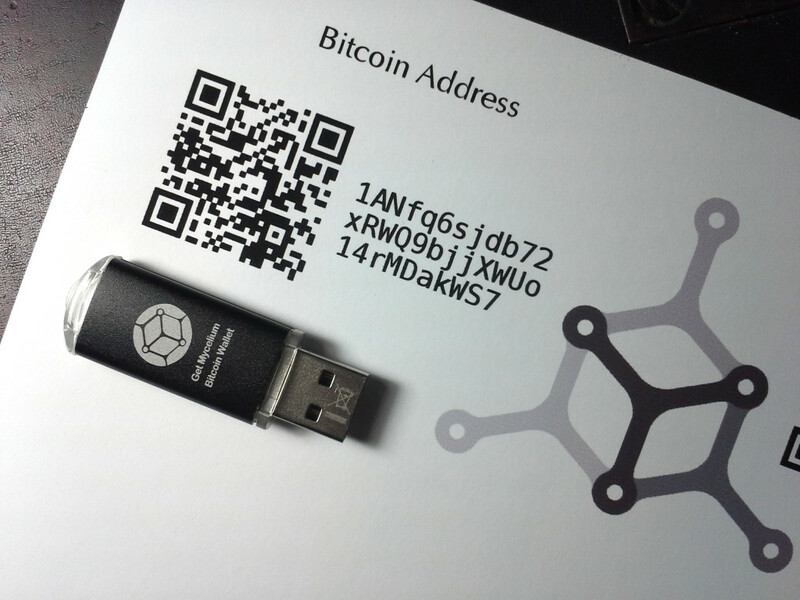 Why yes, you certainly may send bitcoin to this address! 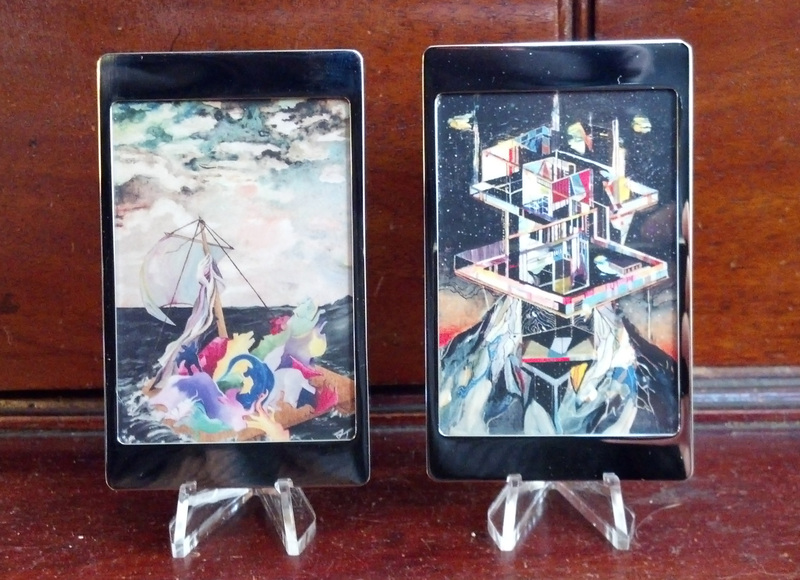 The Entropy device began as an Indiegogo project in 2014, and while its completion took longer than planned it seems to have been worth the wait. 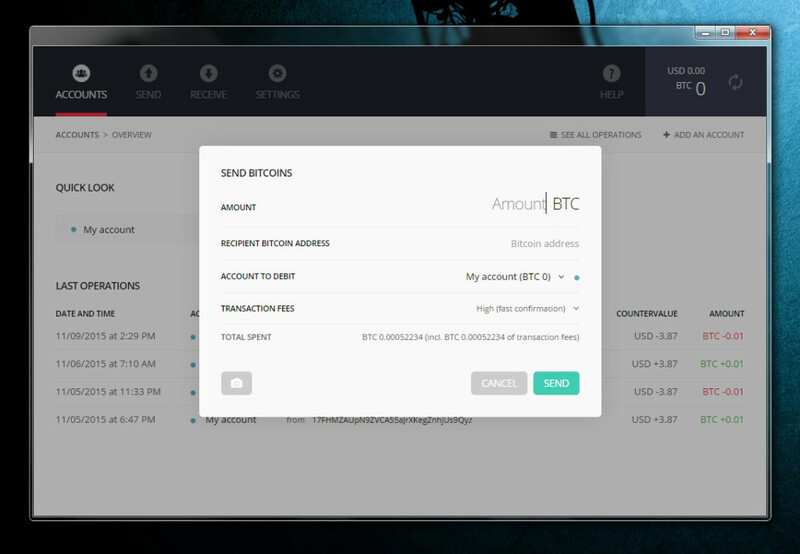 Created by the people behind the excellent Mycelium bitcoin wallet, the Entropy shows the same innovation and attention to detail as their wallet. The wallet has been my favorite smartphone wallet for a while now, full-featured and easy to use while also including forward-thinking gems like a decentralized exchange which lets you contact other bitcoin users in your geographic area to arrange direct purchases and sales. Clearly the Entropy device only moves in one direction: the future. 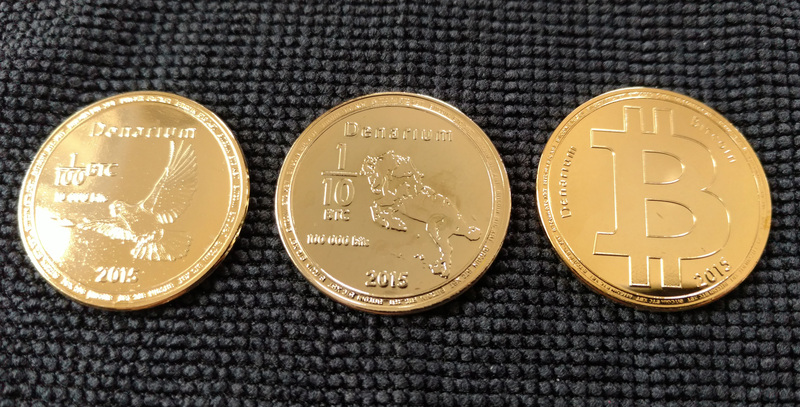 The Argentina-based bhCoins have come out with their first series of DIY coins. Although they contain no precious metals, they are available in mirror and antique finishes in both gold and silver. I opted for the shiny gold and shiny silver, and they look fantastic. They have a nice weight to them, and a compact size at 28mm in diameter. 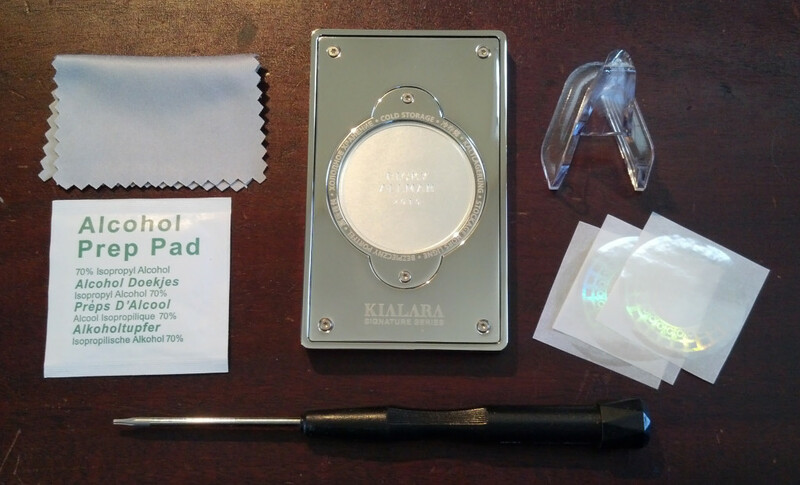 Each coin kit comes with 3 holograms for securing the key in the square hollow on the reverse of the coin, and also a hologram-sealed envelope containing a set of address/key pairs, the keys being printed at the right size to fold and place in the hollow on the coin. For added security, one could always generate and print their own keys. Let’s face it: DIY is fun. BHCoins DIY coins in silvery and golden, shiny and slanty. 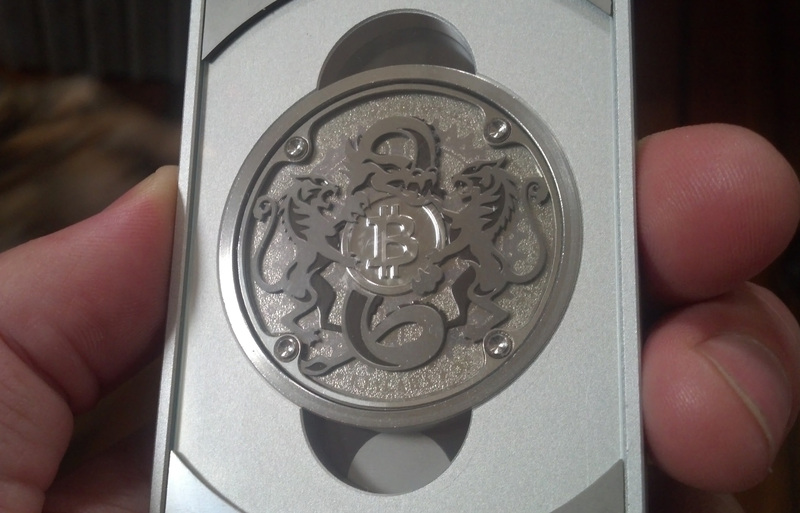 I am really fond of the bhCoins designs. They’re simple and elegant, but unique at the same time, not quite like anything else out there. 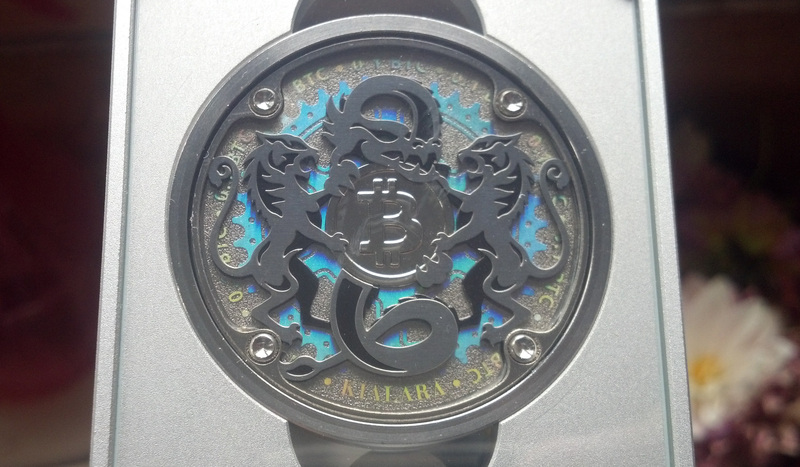 These have a funky “B” all askew and slanted, sliding right off the surface of the coin, and the mirror finish is top-notch. And they’re a bit on the obscure side, which is always exciting for a collector. For the curious, there is more information here. 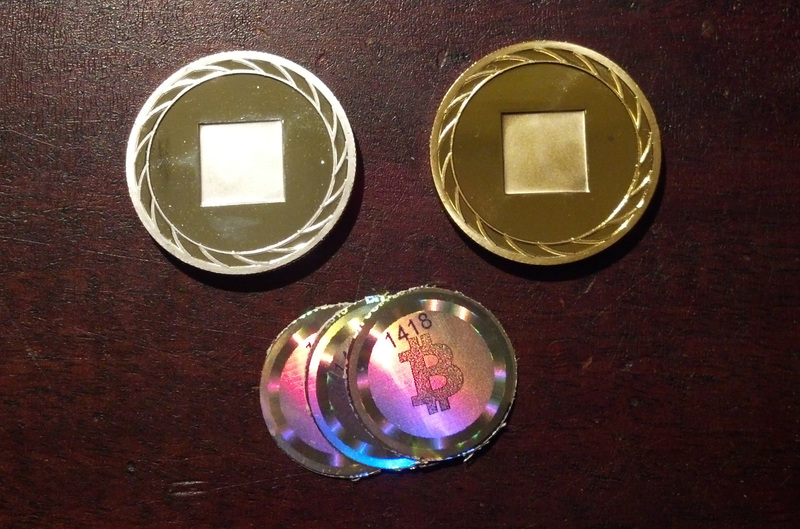 After the success of their Dogecoin design, Crypto Imperator is back with another solid-feeling, zinc-plated coin, this time with less Comic Sans and more good old bitcoin. 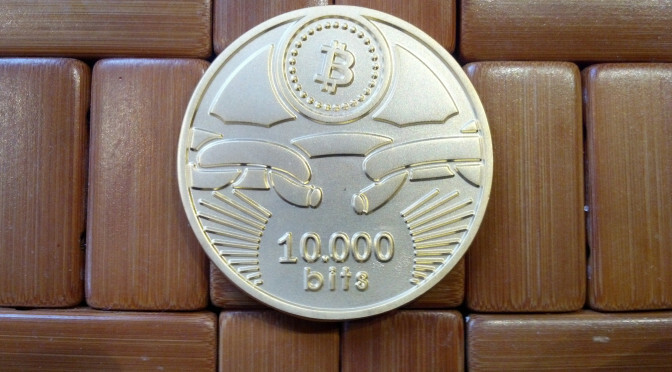 It’s a 10,000 bit… coin. There’s been a shift to move to bits as the common unit of bitcoin, the thinking being that once we make the shift we won’t have to adapt again. In case your conversion skills are rusty, there are 100 satoshis in a bit. 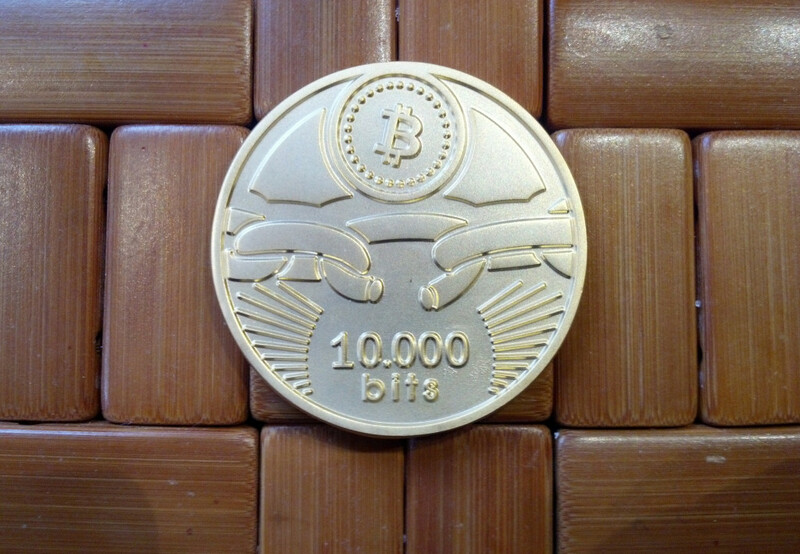 From the other end, 10,000 bits equals .01 bitcoin. The argument for shifting to smaller units is that if bitcoin reaches a high rate of exchange and stays there, using them will be psychologically cumbersome to people. We’re not used to calculating out to three or four decimal places in our transactions, but we’re quite used to thinking with more digits on the other side of the decimal point. 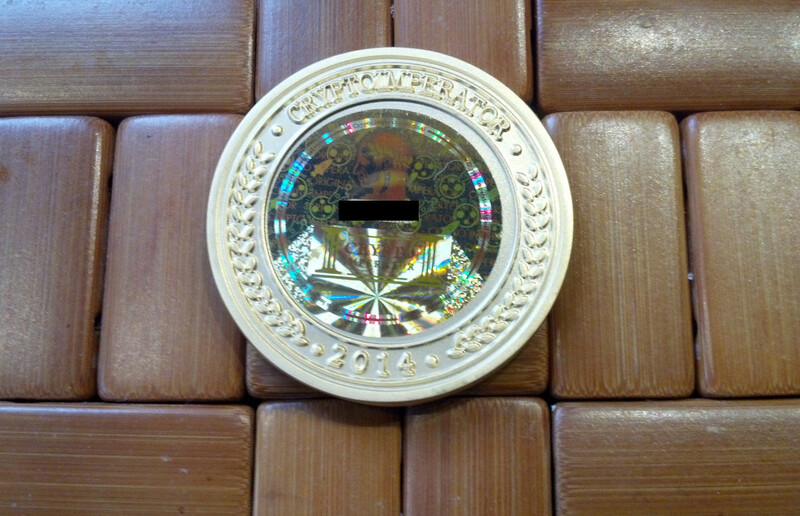 Regardless of its small/enormous denomination, the Crypto Imperator 10,000 bit piece is a handsome coin, even if it lacks the precious metal that some other coins boast. It’s smooth, professional finish and nice heft give it a professional air, and it has a strong simple design on the front of a breaking chain. 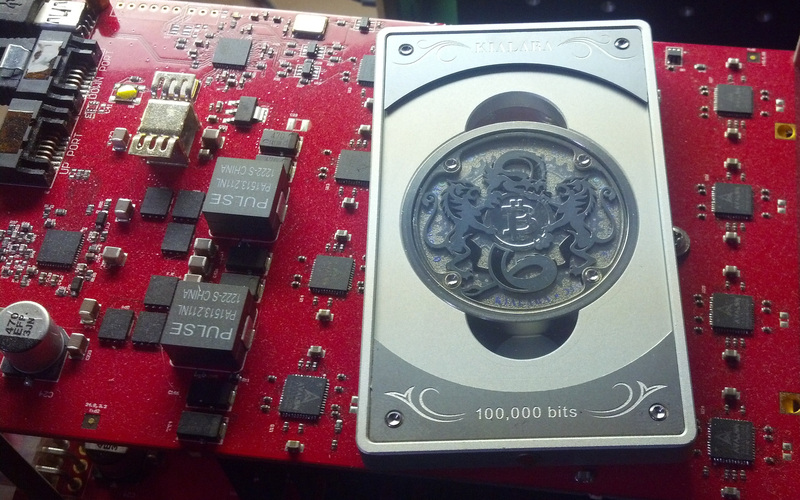 The Crypto Imperator 10,000 bit piece. The hologram on the back features the delightful rockets-and-moons of the Dogecoin piece, which was well worth revisiting. 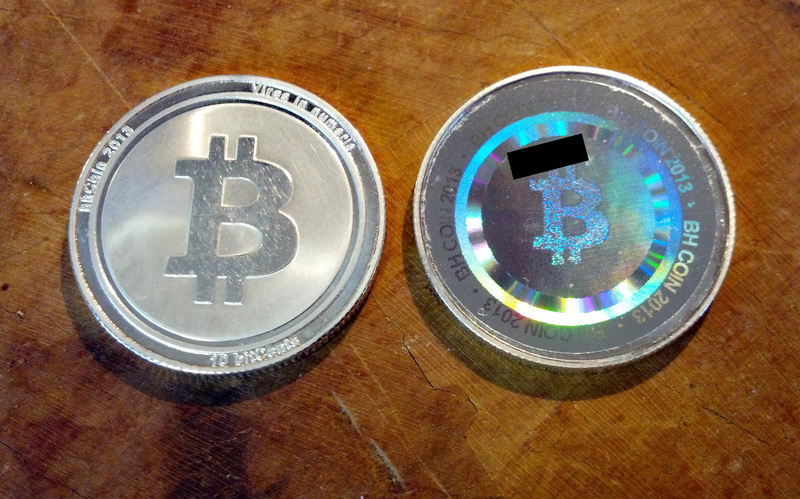 10,000 bit piece reverse, angled for more hologram glory. 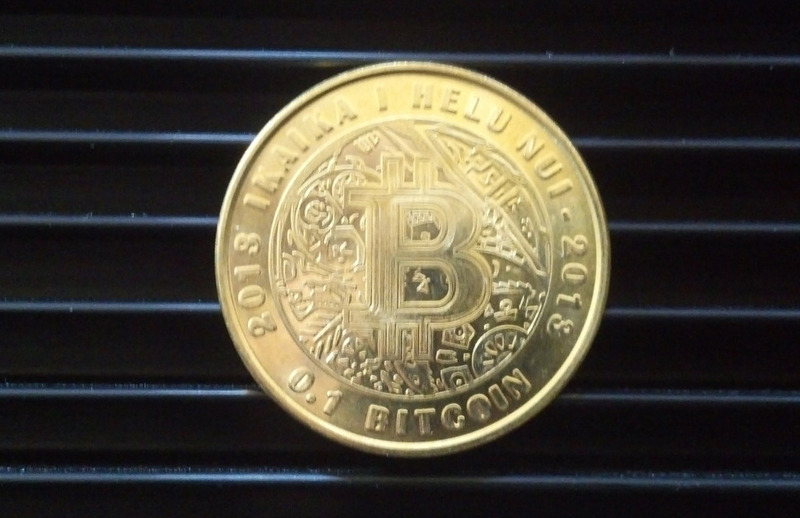 There have been a number of one-tenth BTC pieces, but one of the first was the bhCoin “10 bitCent” brass piece in late 2013. 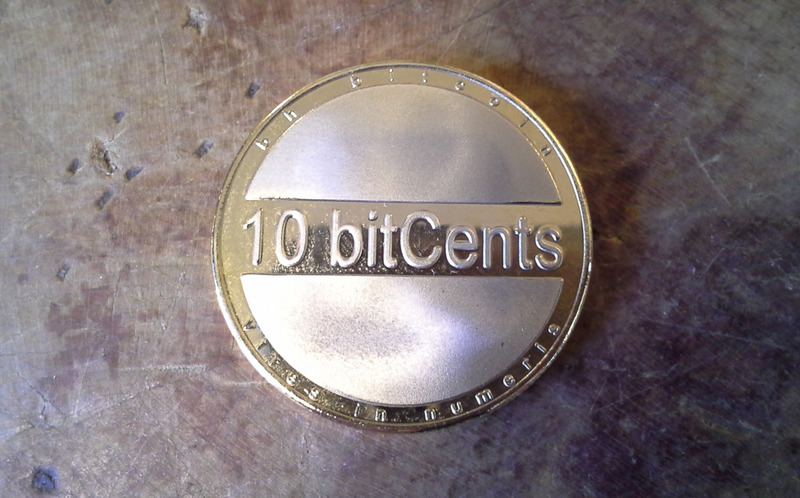 I’ve had some series two bhCoins for a while, but only just recently tracked down one of the series one brass coins. It delights me. The series two coins which came out a few months later are also great, nickel-plated to create a fine silvery shine, though mine did get gently scuffed during the no-doubt-tumultuous journey from Argentina. 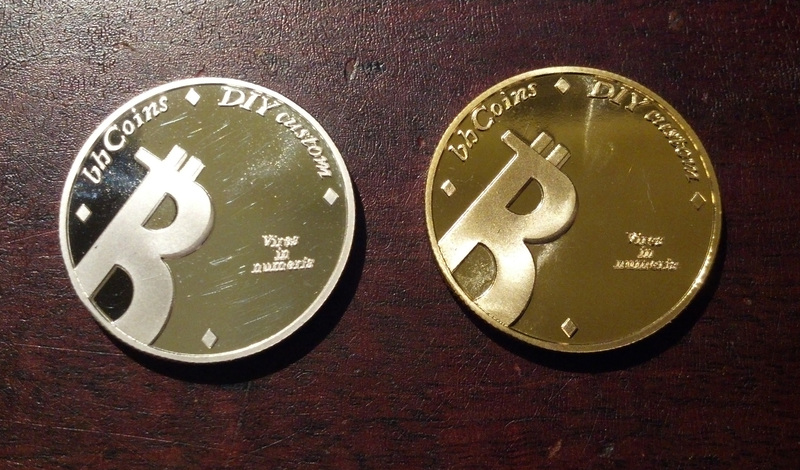 bhCoin series 2 front & back. Neither series has an especially bold design, but that’s part of their charm. 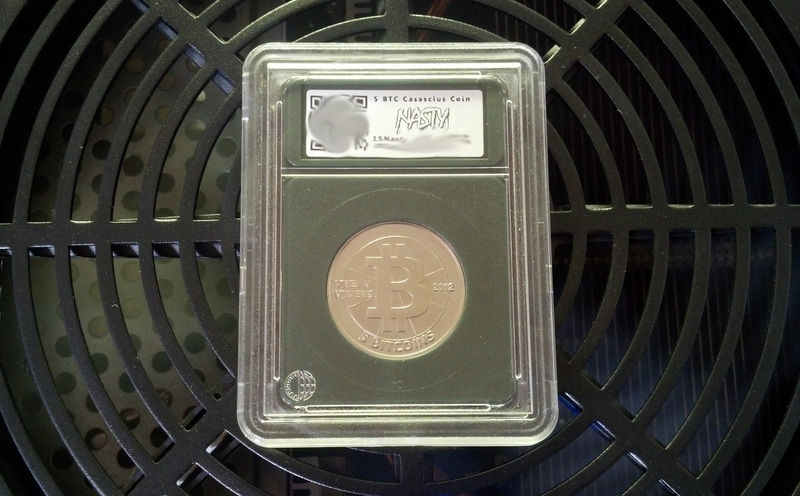 They’re clean, straightforward coins produced by enthusiasts in very limited numbers, only about 100 of each run. 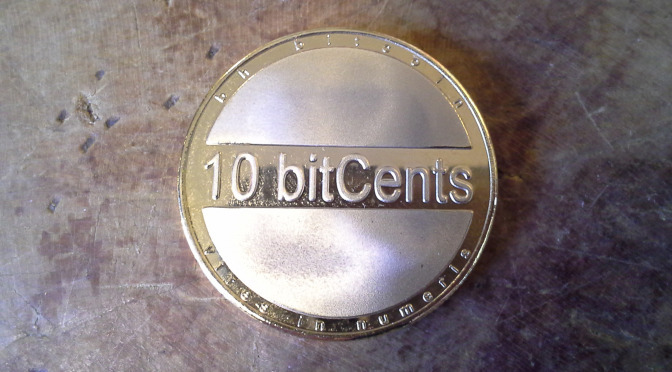 A series one bhCoin 10-bitcent brass piece. 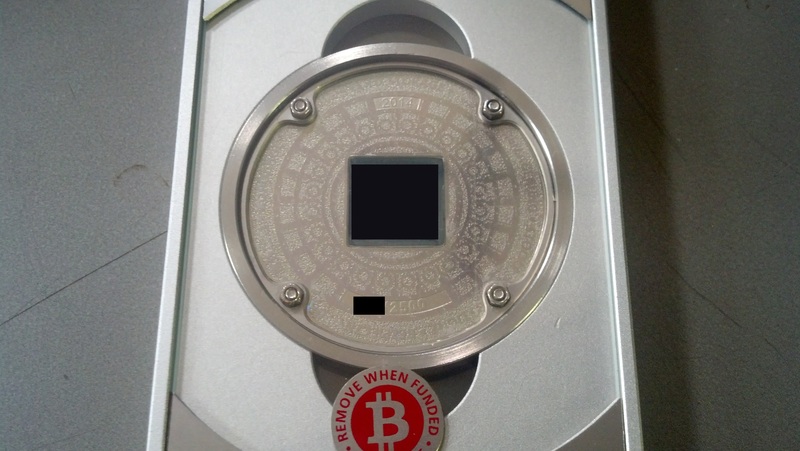 There are pictures of an opened bhCoin series one here. The folks at bhCoin have since moved on to create a 2-factor coin, and we look forward to their next project. Sometimes someone takes an idea and refines it so far that it ends up feeling like something new entirely. 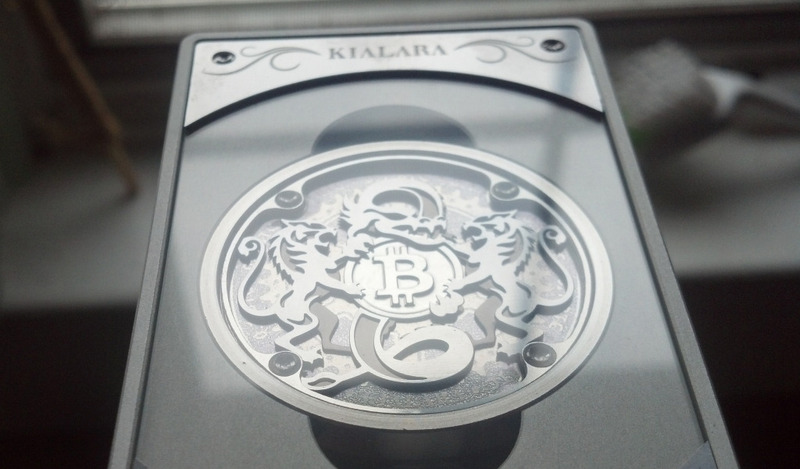 That’s the case with Kialara physical bitcoins, designed and produced by Maxfield Wyatt Mellenbruch. 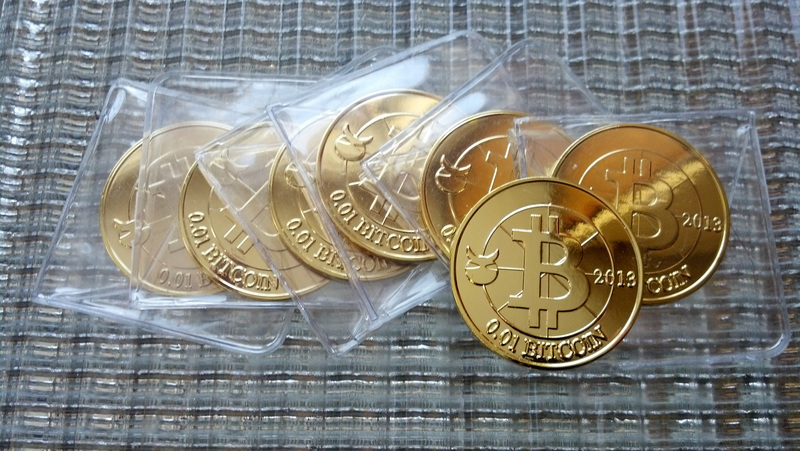 On a fundamental level, these coins share a lineage with other physical bitcoins, since each is a cold storage wallet with the private key sealed inside. In practice, though, these are extremely impressive art objects, each one containing 16 separate pieces held together by eight bolts. The coin in the center is beautiful on its own, a combination of gears, lions and dragons all bolted together as if a machine was dreaming about a coin. The coin itself is then encased in an equally elaborate bar-like object and safely bolted behind clear panes. 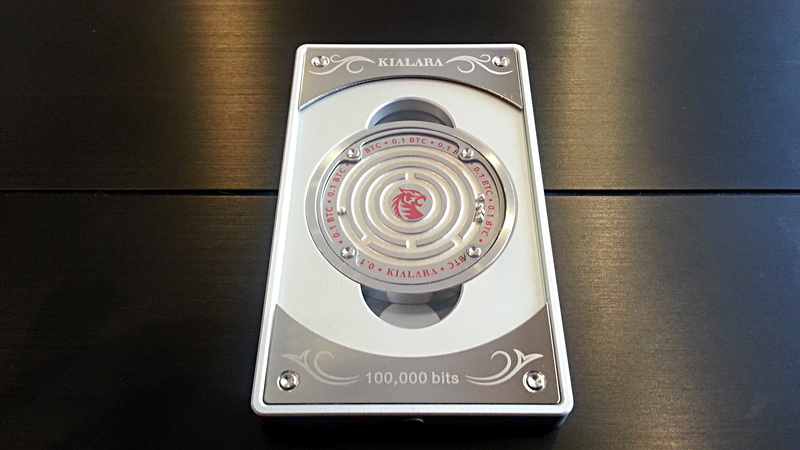 Angle view of a Kialara physical bitcoin. These are truly remarkable objects, beautiful to behold, complex and glittery and with a really satisfying feeling of quality to them. 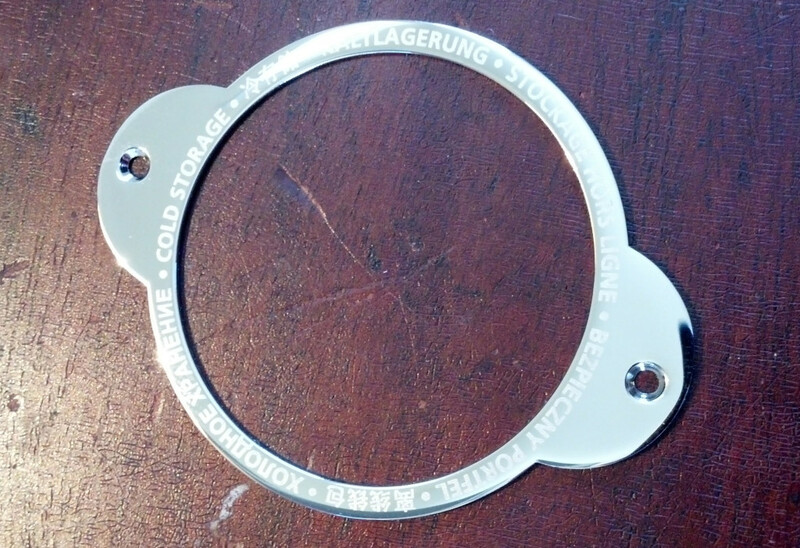 They seem more like a movie prop for some steampunk fantasy film than a cold storage wallet. The artist’s brilliance extends through to the construction, however. It would have been far easier to make something that looked complicated and evoked machinery rather than actually devise and execute an object with so many intricate parts that it does everything but move. 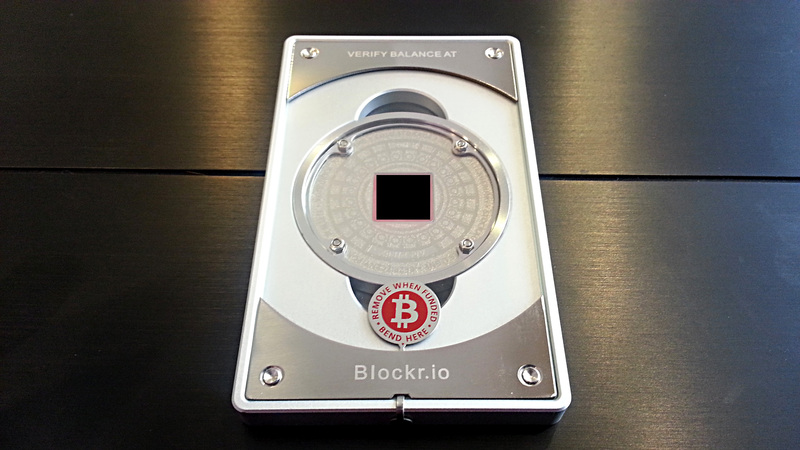 Blink and it might start downloading the blockchain on its own. Mellenbruch depicts the various layers and steps of construction here, including the application of red Loctite to the tiny screws, and the subsequent drilling out of the heads to further deter tampering. 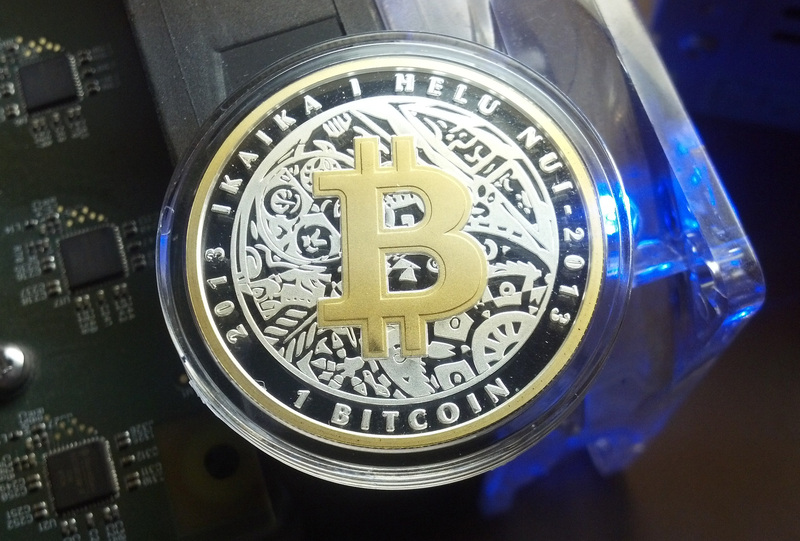 The result is like a coin from the future that suffered a detour by way of the steam age, to be hoarded and stacked like bars of crypto-mechanical glory. Whatever madness drove Mellenbruch to over-design his creation this way, it’s our kind of madness, and we hope he never comes to his senses. In November 2013, Mike Caldwell stopped selling funded physical bitcoins after receiving a notice from FinCEN suggesting that his sale of such products to collectors might constitute an unlicensed money transmission business. 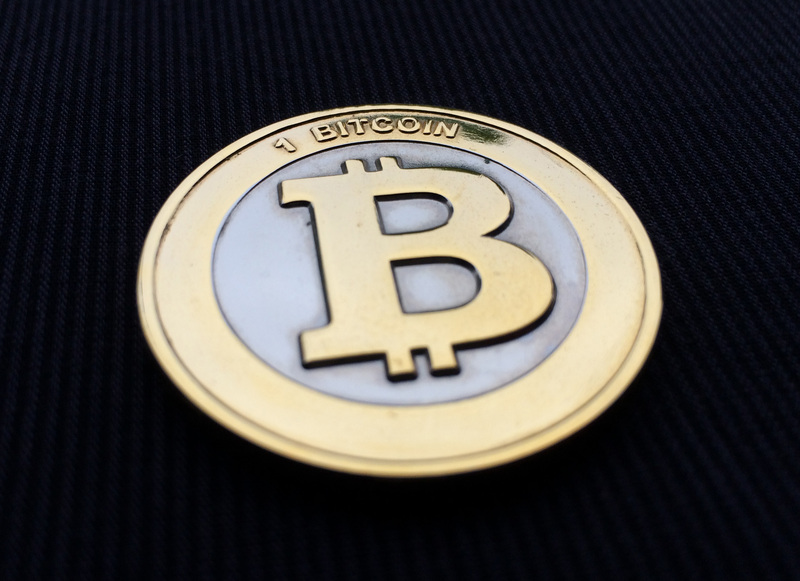 Asserting that selling novelty bitcoin wallets to collectors might be akin to money laundering is very silly, but whether you chalk it up to institutional incompetence or malicious machination, the result was the same: Caldwell stopped selling coins, and most others in the collectible physical bitcoin space shifted to the model of selling buyer-funded coins. 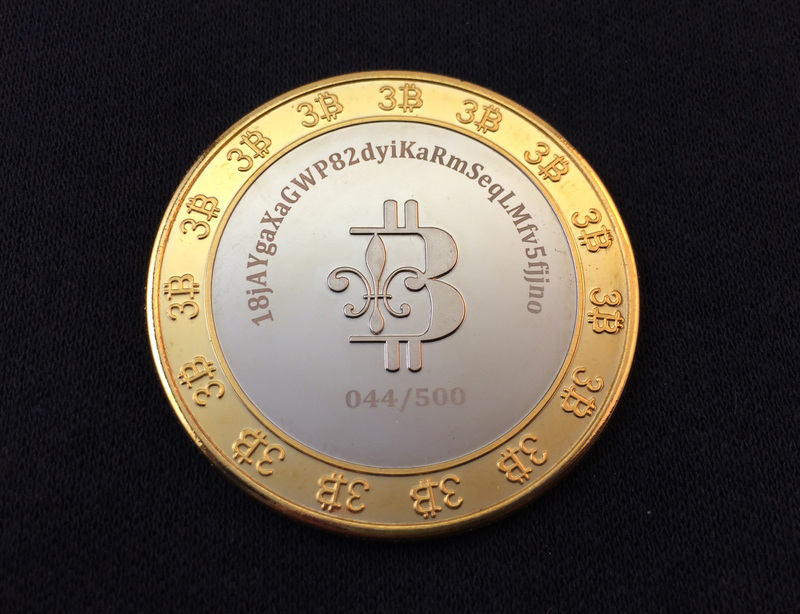 What you buy is just the coin and sealed key, and to some degree the reputation of the manufacturer, and then you fund it yourself. 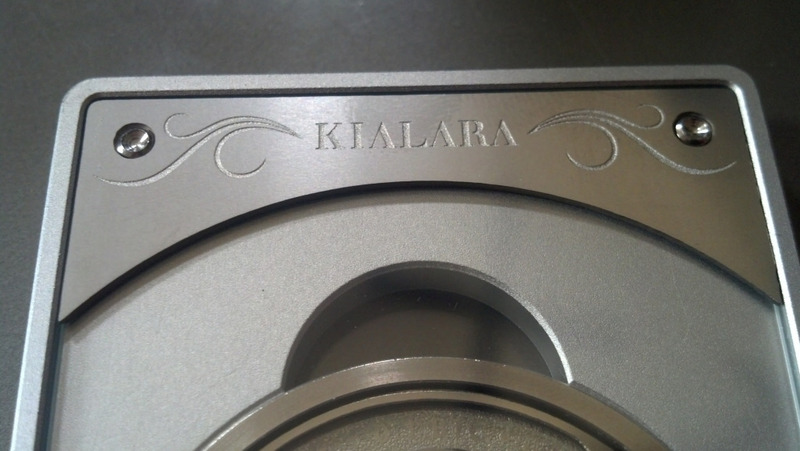 The Lealana brass .1 BTC. 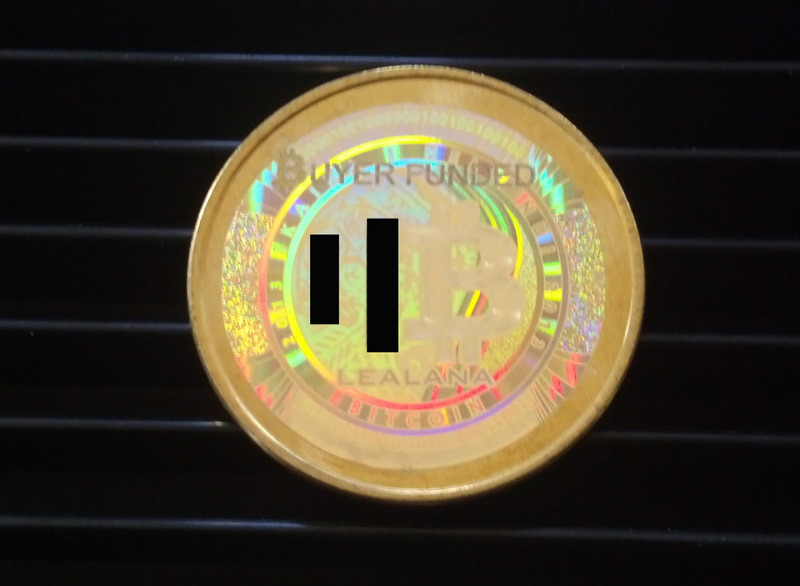 Lealana brass .1 BTC reverse. 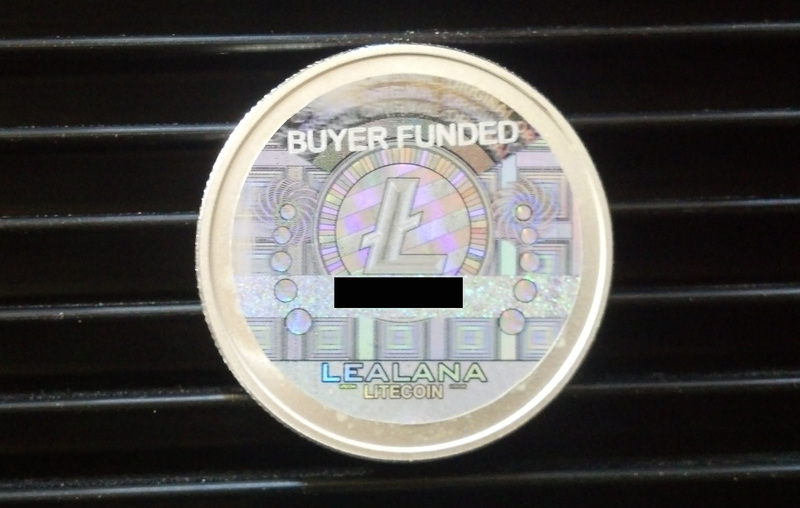 A Lealana 10 LTC piece, now with “BUYER FUNDED” designation on the hologram. 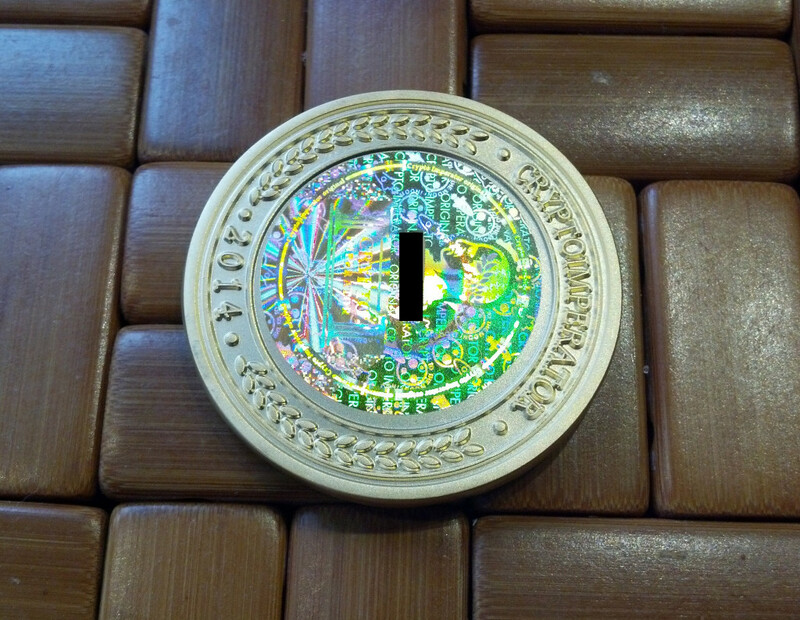 Nolacoin took a similar but more permanent tack, using his powerful laser to etch “SELF FUNDED” into the metal on the front. 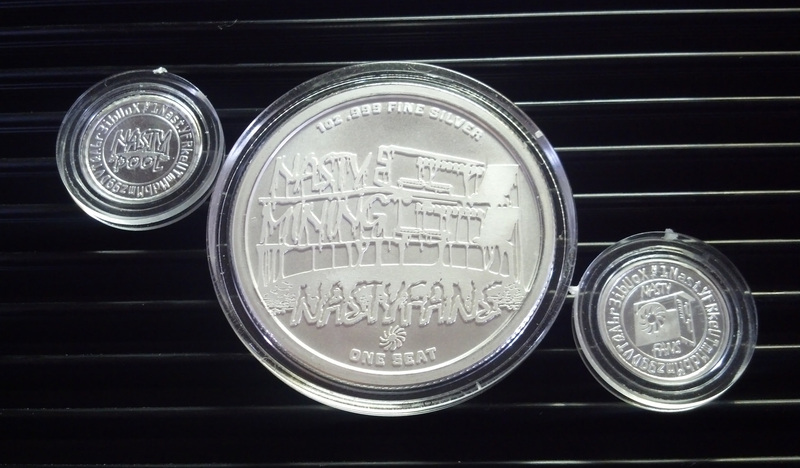 I was also lucky to recently acquire a couple Cryptovest physical litecoins, a CoinHoarder project, also to be self-funded. 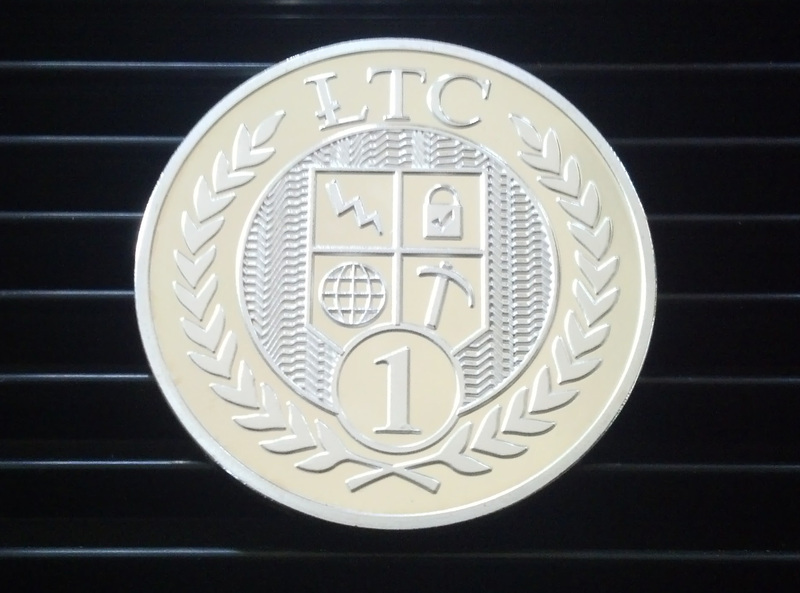 Cryptovest 1 LTC piece, reverse. 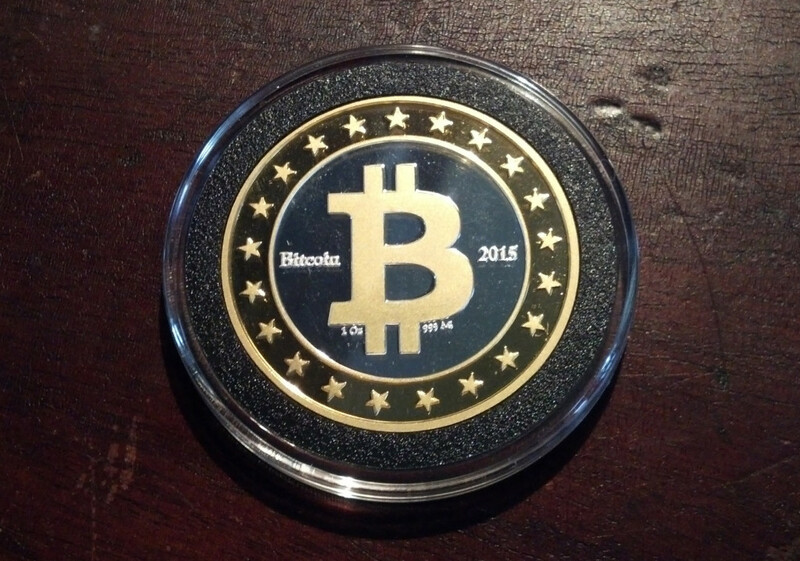 The most fun of the lot, though, is a new .1 BTC piece from Cryptolator. 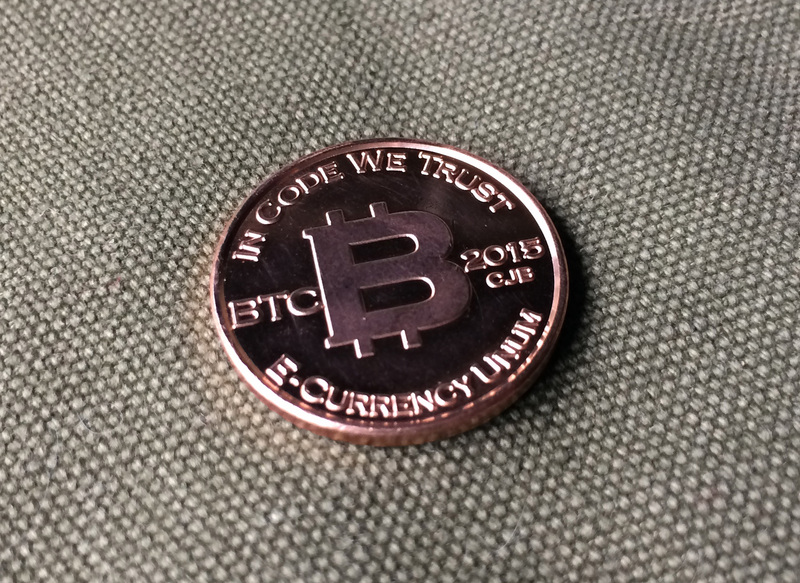 While also available in copper (and in silver in a 1 BTC version), this is the “Merlin Gold” edition, a faux-gold metal which is just meant to be lovely, and it is. The pictures don’t capture the luxurious golden glow. The design makes me giggle. Regardless of your politics, a design featuring people running out of a burning bank, dragging chains behind them has to make you smile. Are those stink lines around the edge? Maybe. 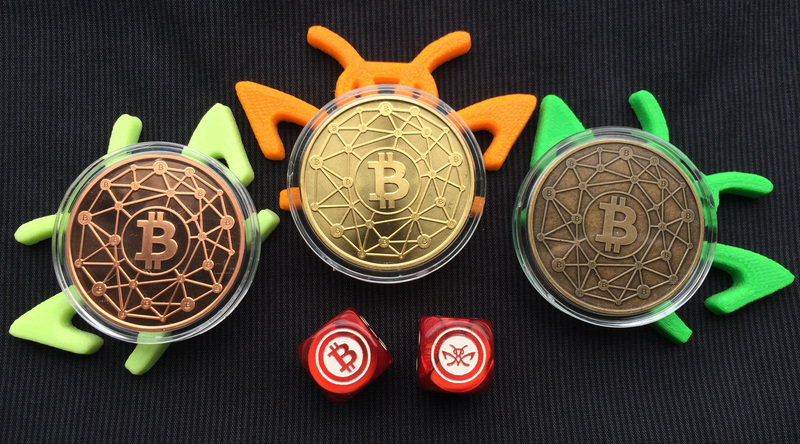 Cryptolator brings the fun… and the fire. 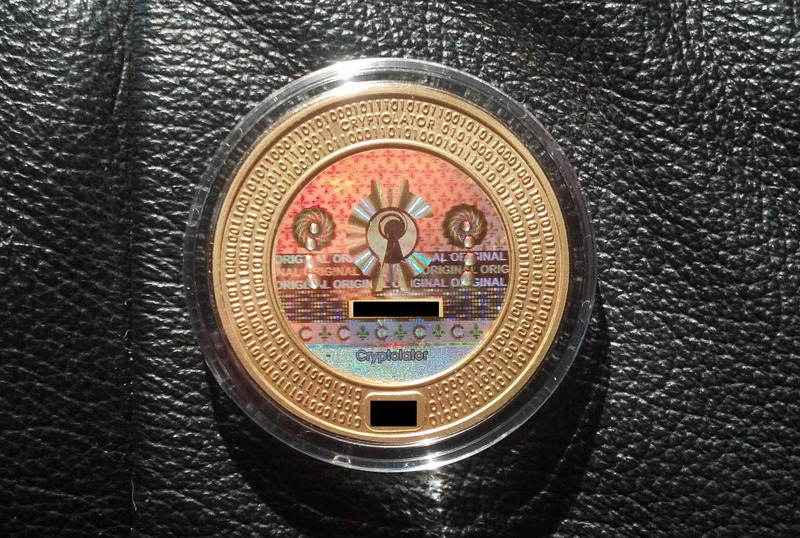 Cryptolator “Merlin Gold” .1 BTC piece, reverse. It’s much goldier in real life. 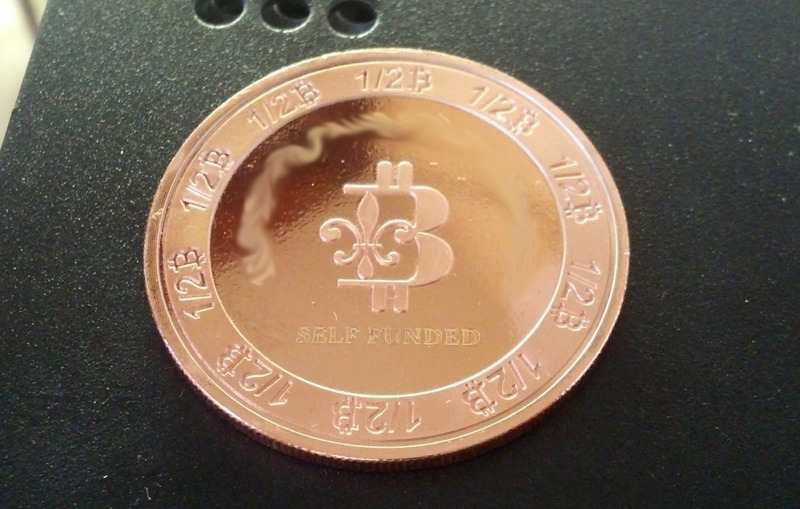 Self-funded coins aren’t entirely new, though, as Caldwell himself sold 5 BTC Casascius blanks in 2012. 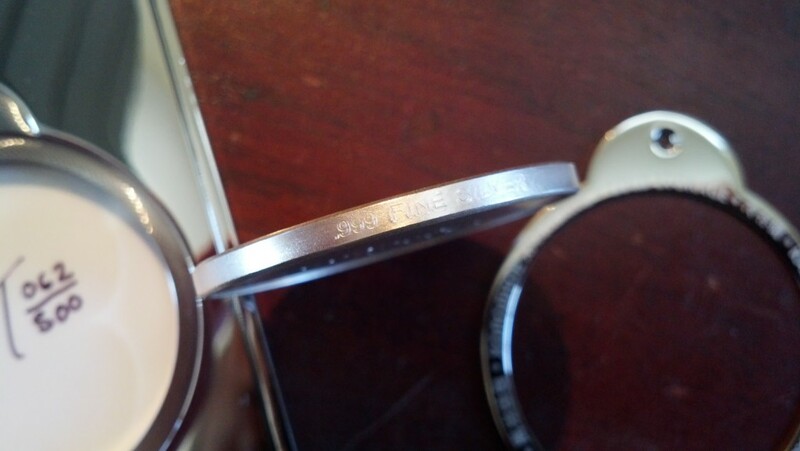 Unlike new coins, though, these didn’t come with key or hologram, but were simply bare nickel coins with a depression in the back. It’s an illustration of how much things have changed, and how quickly. 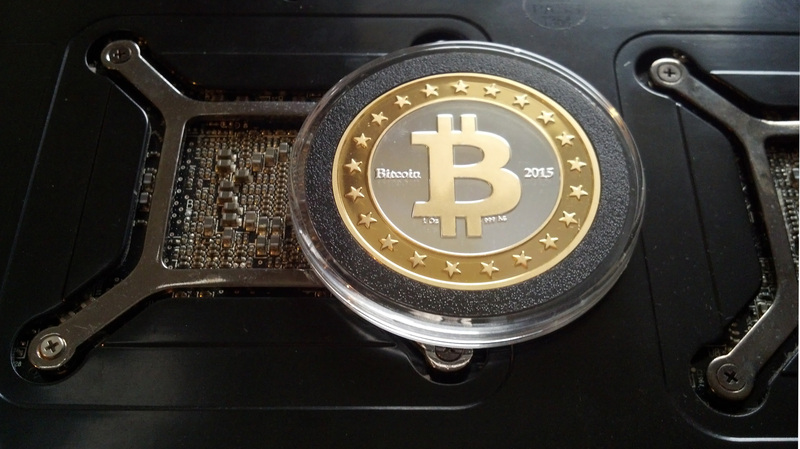 At 2014 rates which have, so far, hovered around $500/BTC throughout the year, a 5 BTC piece made in humble nickel and left for the buyer to assemble seems absurd, and certainly nothing that you could resell once funded. How could anyone trust that you didn’t keep a copy of the key, with so much value at stake? 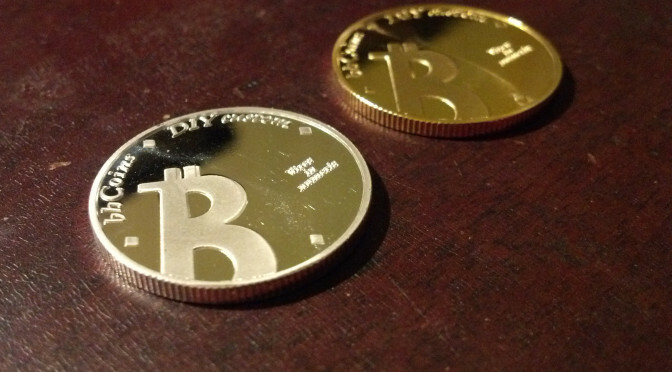 Of course, 2012 started with rates around $3/BTC, so a DIY coin kit worth about $15 just seemed like good fun. 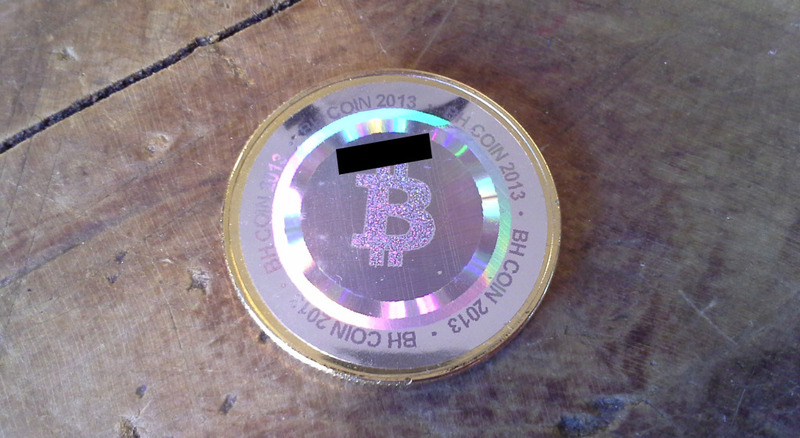 Here we are in 2014, though, so bitcointalk user OgNasty has stepped in to bridge that gap by keying, hologramming and slabbing some old Casascius 5 BTC pieces with his own holograms. 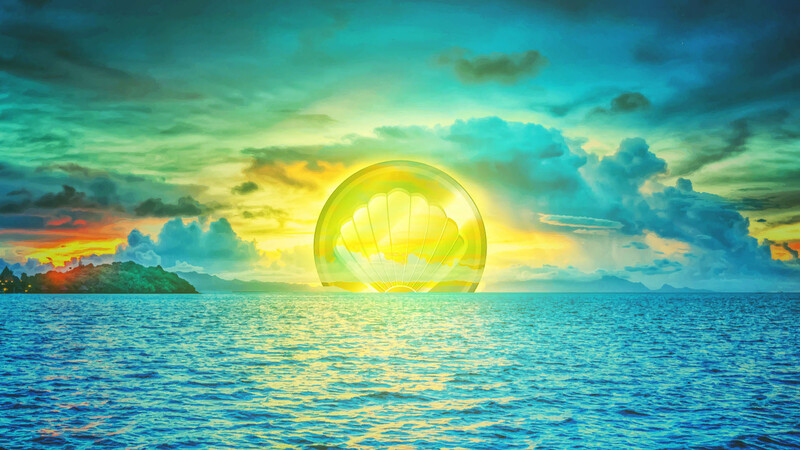 It’s a hybrid solution, but since he both has experience making coins and an ironclad reputation within the community, he’s effectively putting his weight behind these coins. Should one choose to fund them, they ought to stand well beside at least the current generation of self-funded coins from reputable creators. 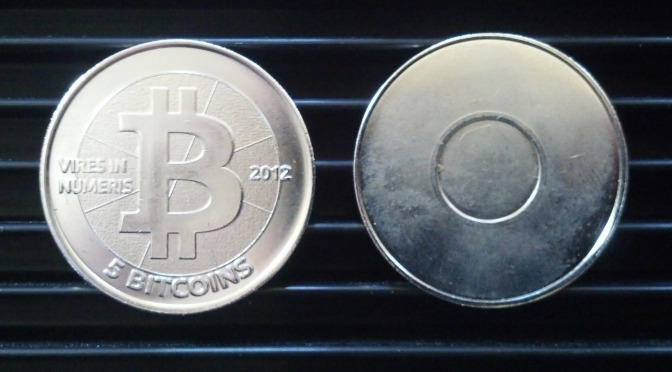 A Casascius 5 BTC piece from 2012, as slabbed by OgNasty. 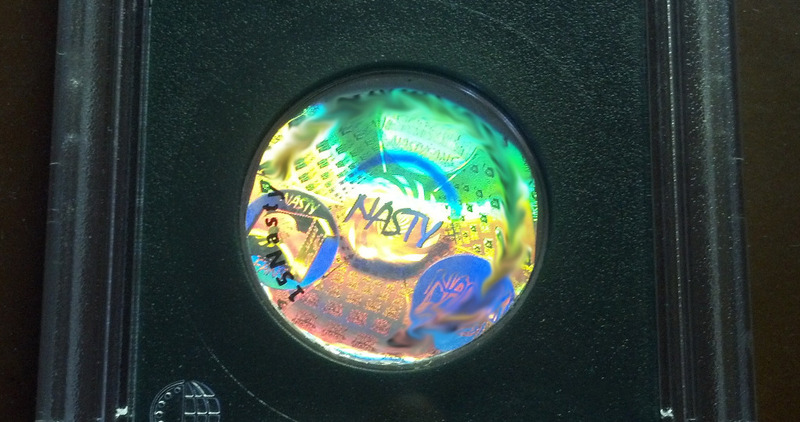 Don’t let the name fool you: Nasty = nice.